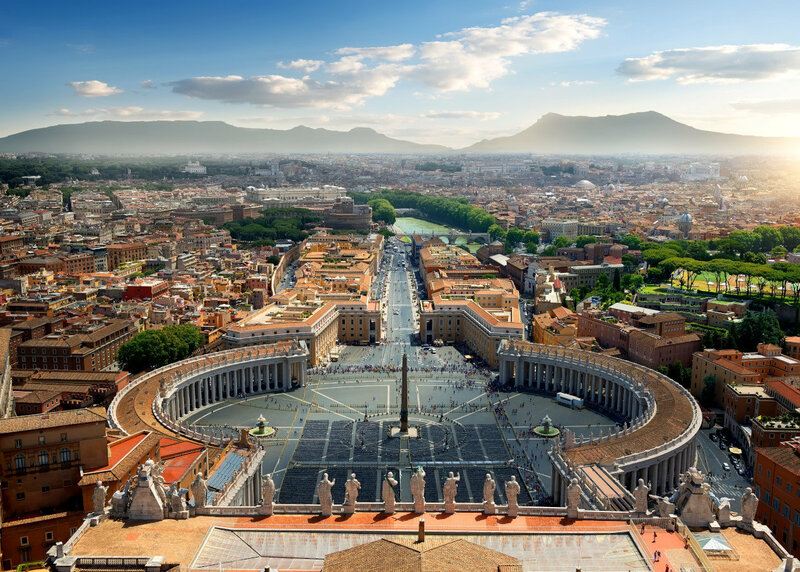 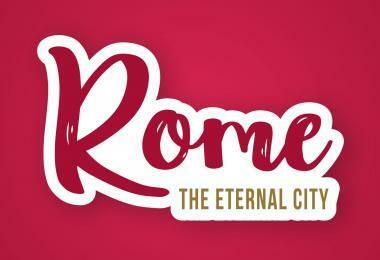 The smallest country in the world which was thereby created, the 0.44 sq km/0.17 sq mi state of the Vatican City with 900 residents, including 200 women, as well as approximately 1,300 servants, consists mainly of the Vatican with its palace, gardens, St Peter’s Basilica and St Peter’s Square, and is largely surrounded by the Vatican Wall. 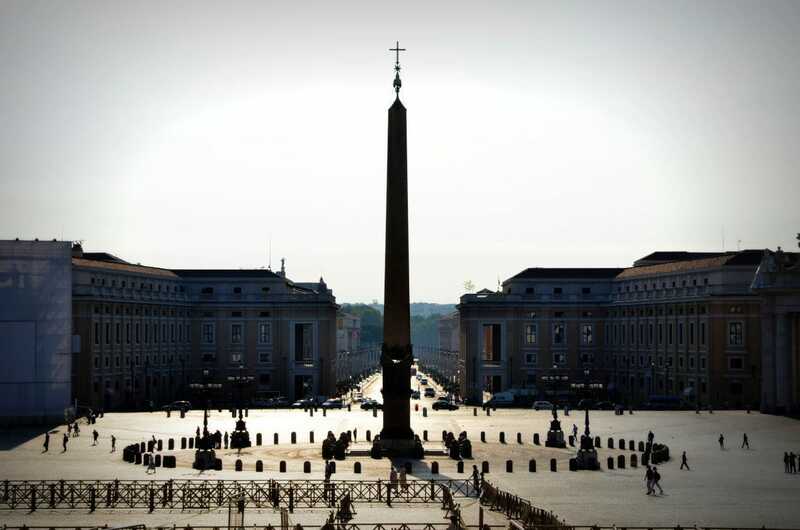 In front of St Peter’s Square, a white line marks the border. 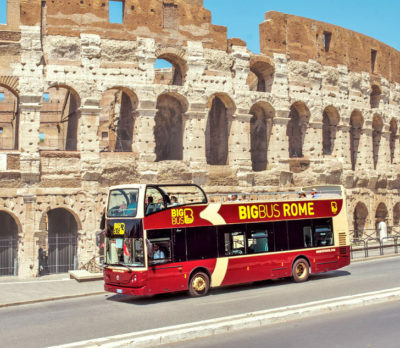 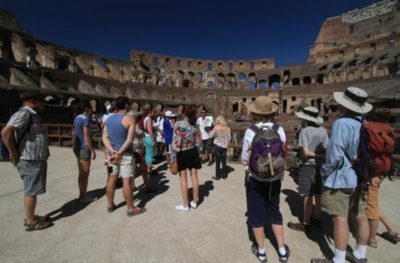 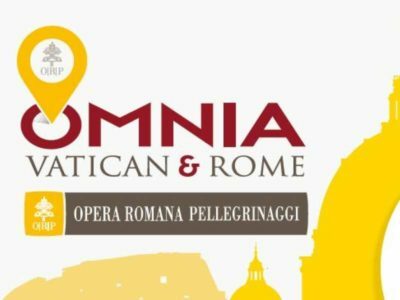 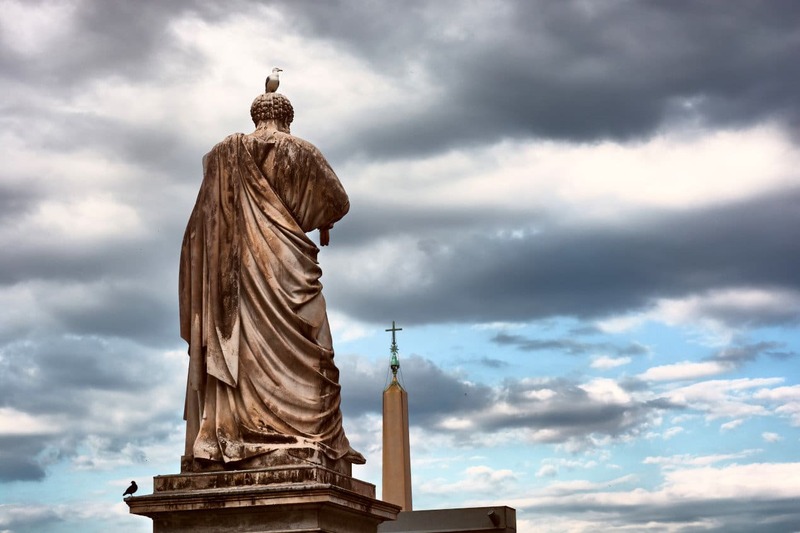 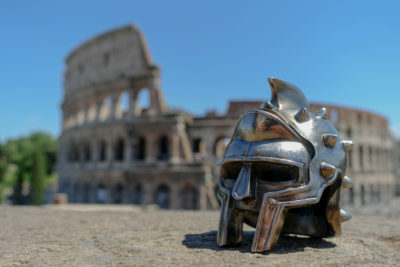 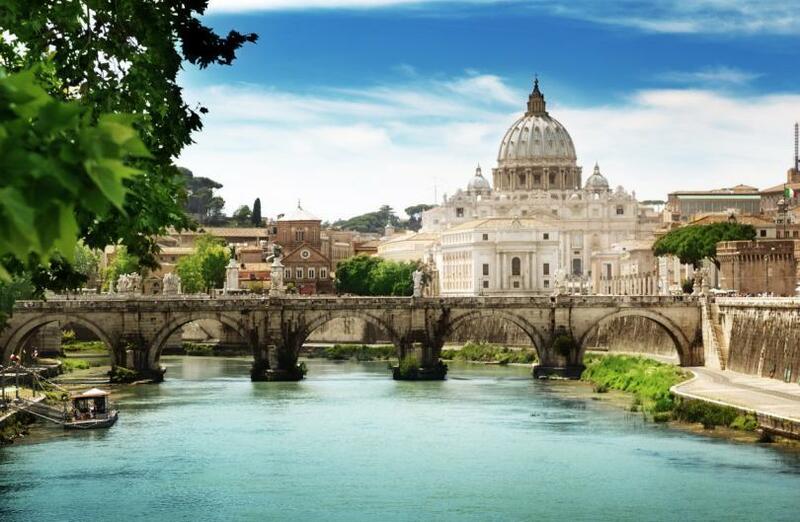 Outside the public areas (St Peter’s Basilica, the museums, Camposanto Teutónico and others), the grounds of the Vatican can only be entered with special permission. 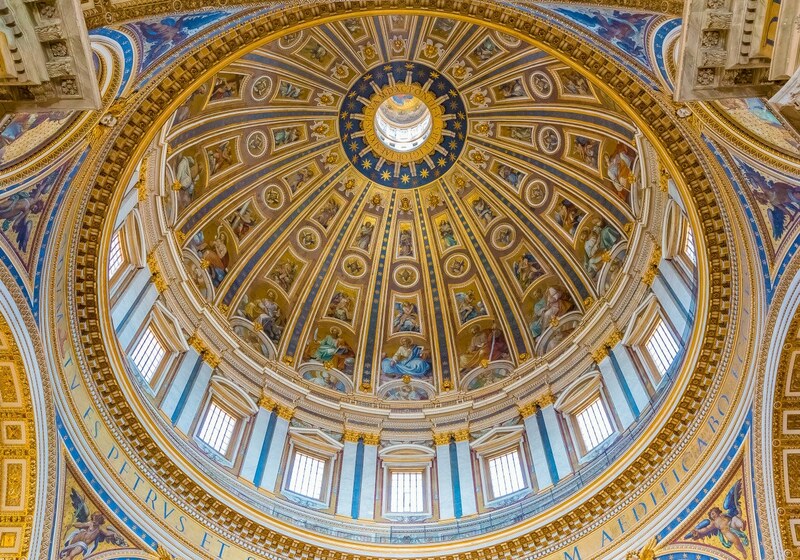 The Vatican City is small, but quite complicated. 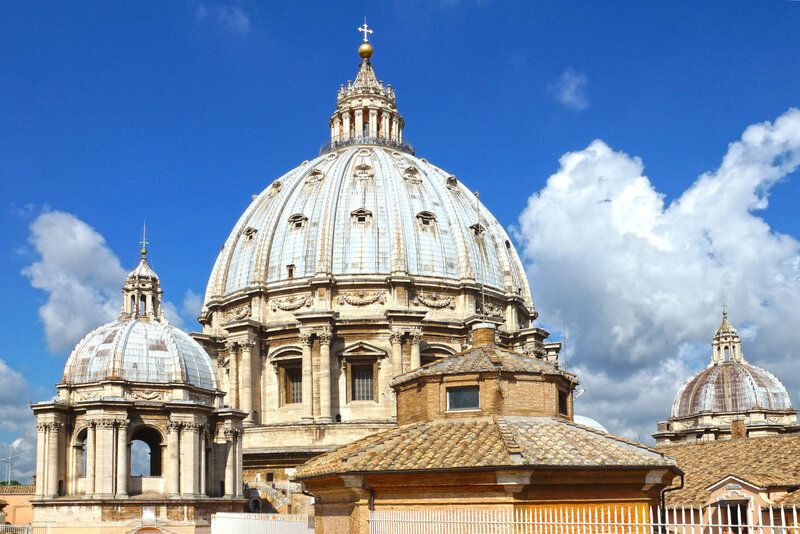 Below we have made a handy “Vatican City Map” (pdf and image format avaible) for your visit. 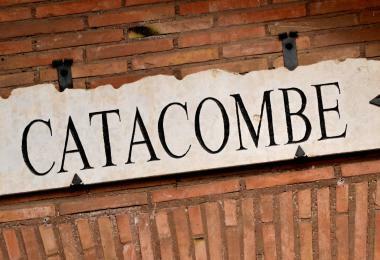 Below you will find the details of the areas in the map. 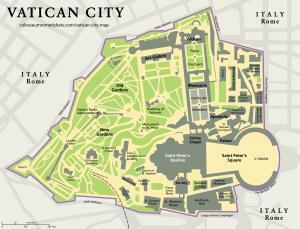 Vatican City Map PDF Format: Click for download. 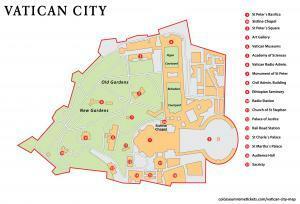 Vatican City Map (Detailed) PDF Format: Click for download. 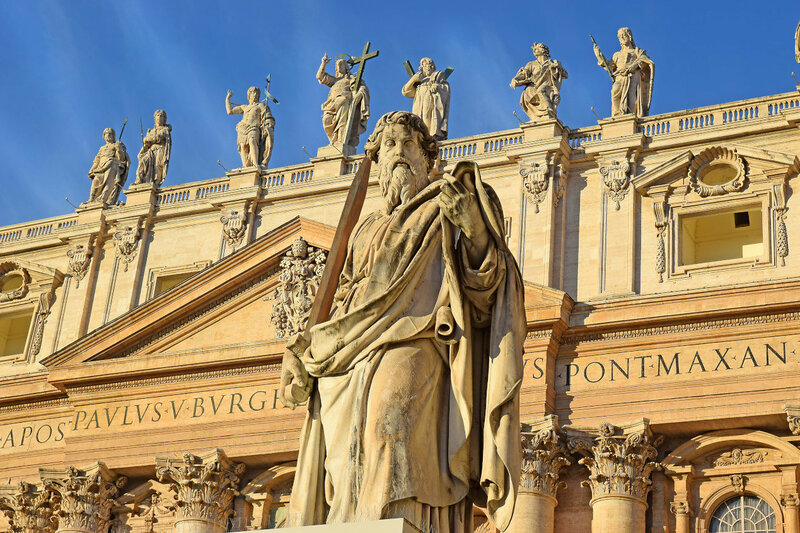 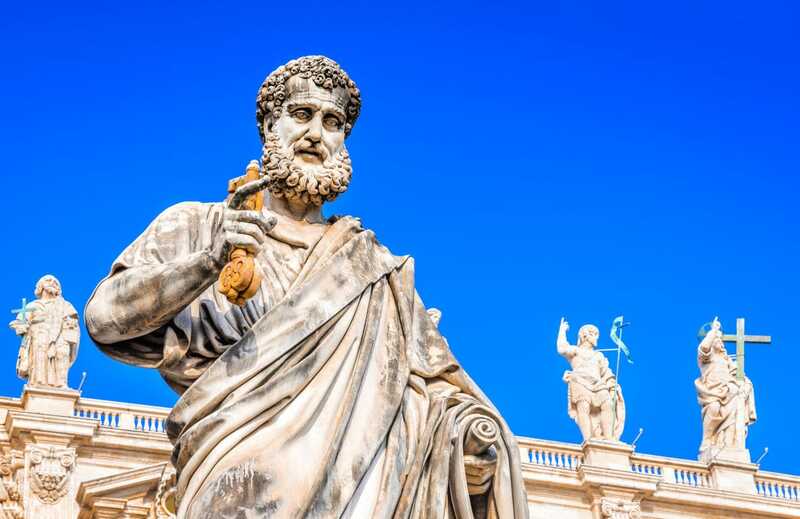 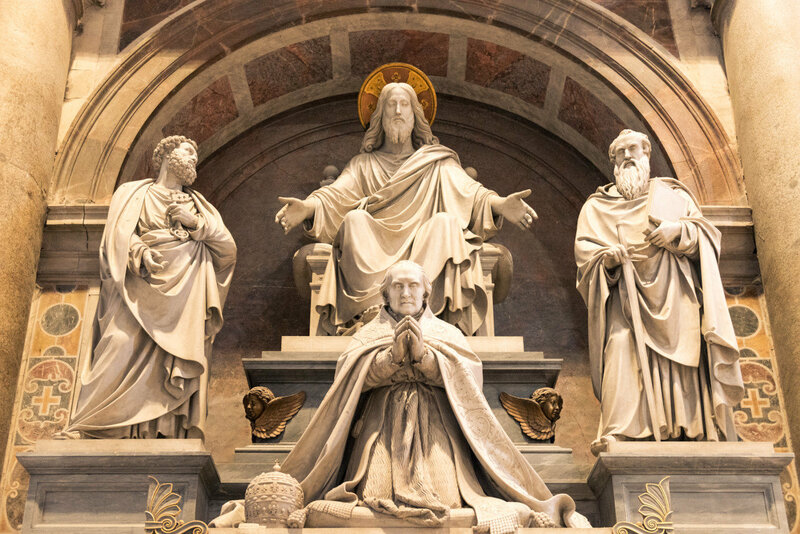 The most famous Christian church is dedicated to the memory of the apostle St. Peter, who according to tradition was the first bishop of Rome; every pope as head of the Catholic church regards himself as St Peter’s successor. 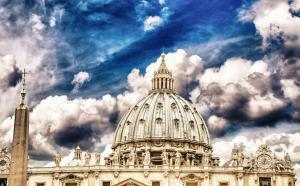 The history of St Peter’s Basilica is also the history of the papacy. 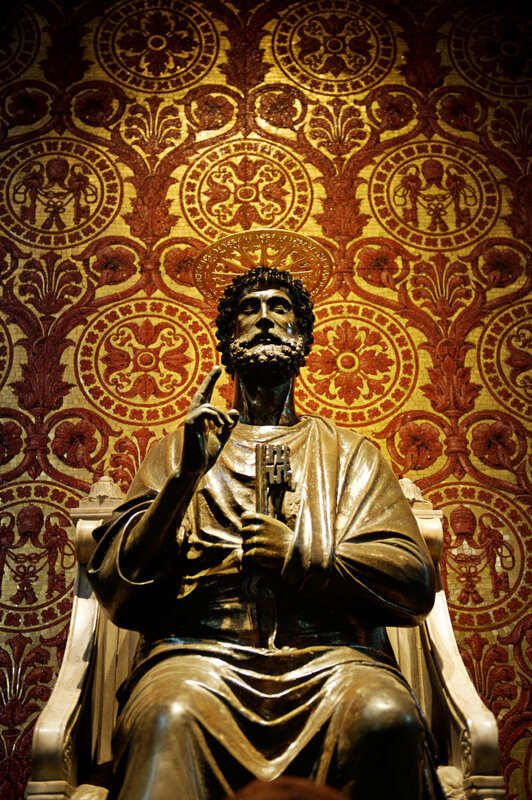 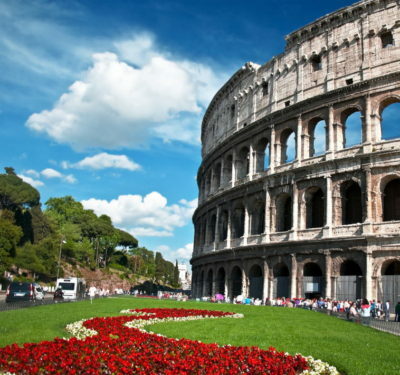 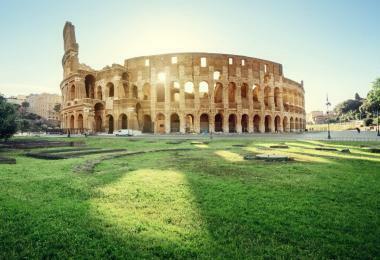 The Christian world owes the first St Peter’s Basilica, built between 315 and 349, to Emperor Constantine. 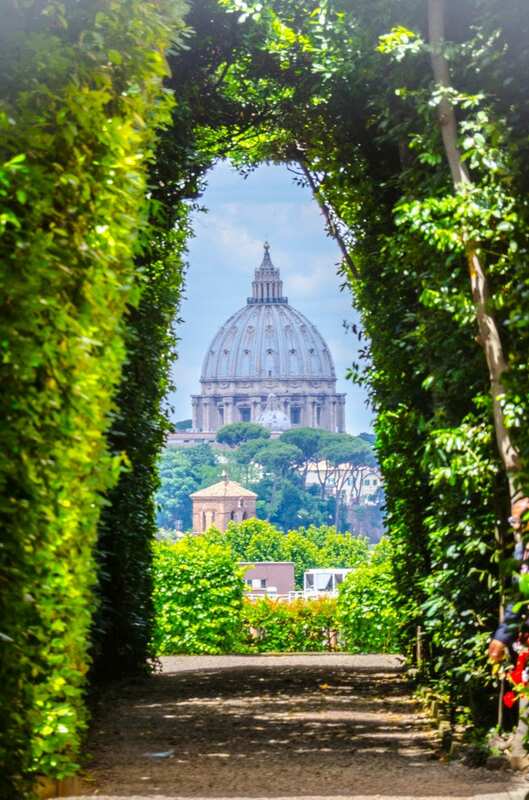 The technically difficult location on the slope of the Vatican hill was apparent even then. 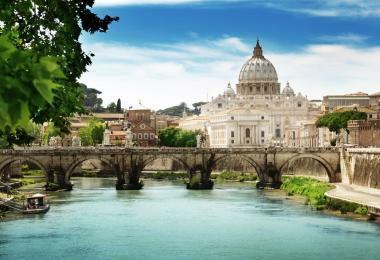 Moreover, the church was located far outside the city. 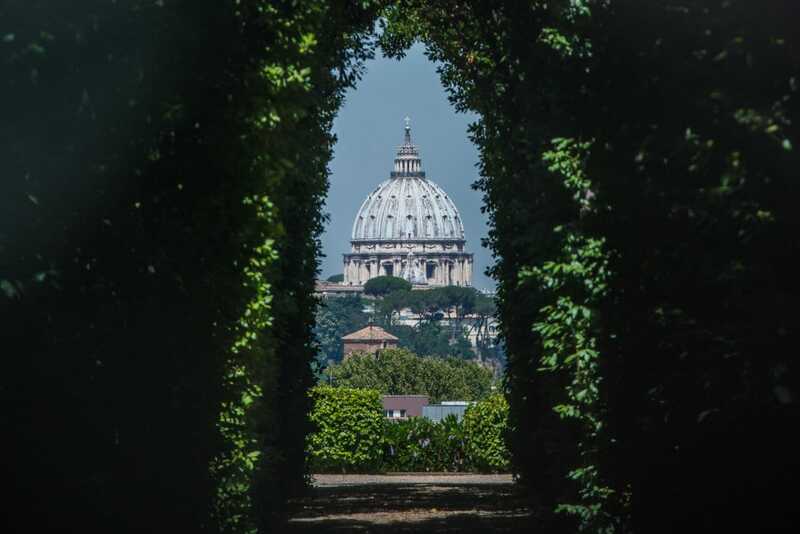 As a reason for selecting this particular location, it can be surmised – with some archaeological substantiation and with reference to the Romans’ good memory for places and historical events – that the grave of the apostle Peter is located here; according to tradition, he suffered martyrdom in 64 or 67 in the reign of Nero in the imperial gardens by the Vatican hill. 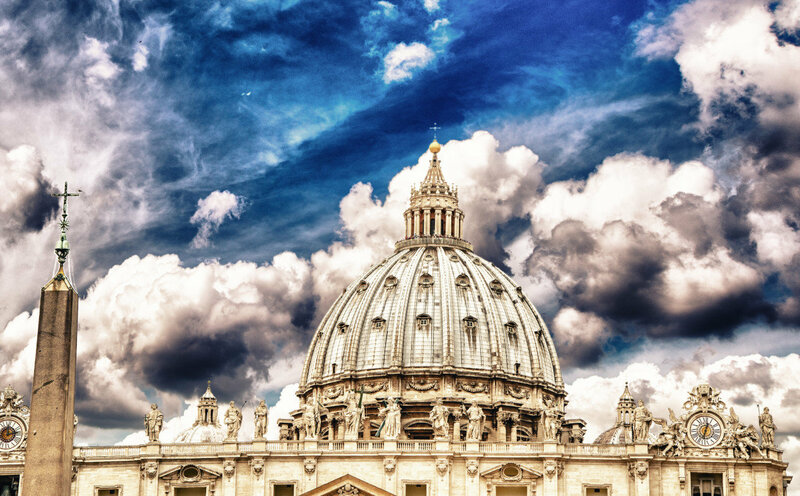 St Peter Square – Vatican City. 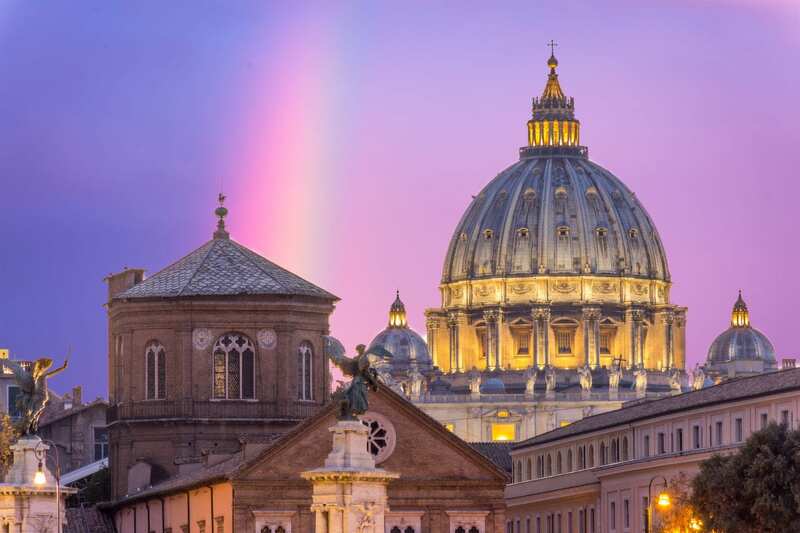 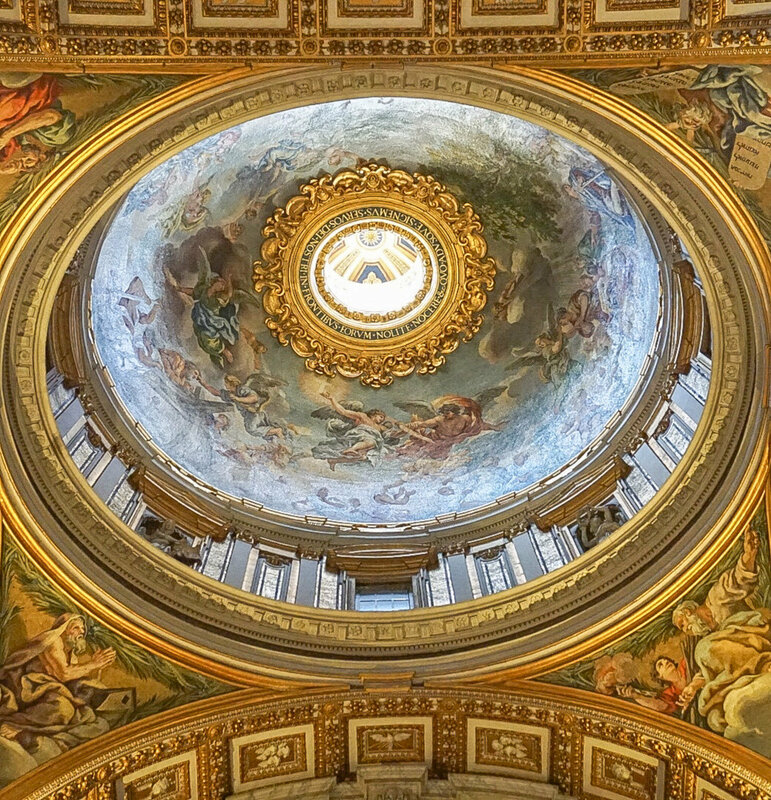 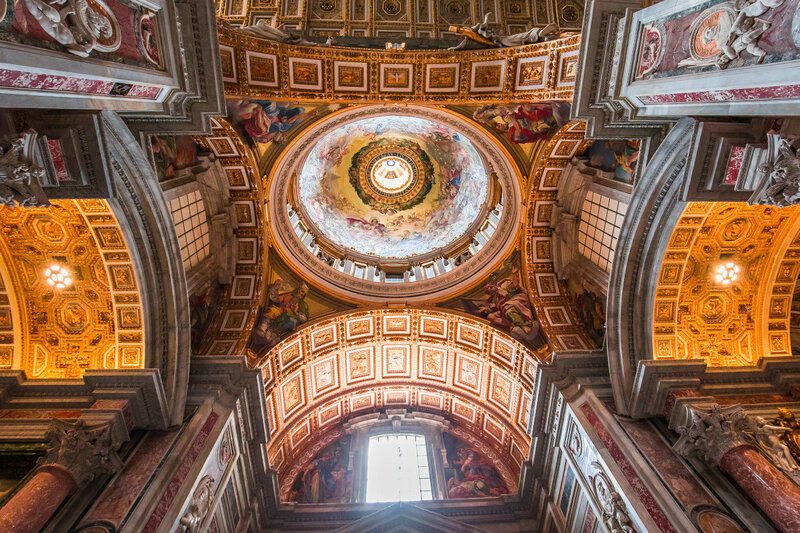 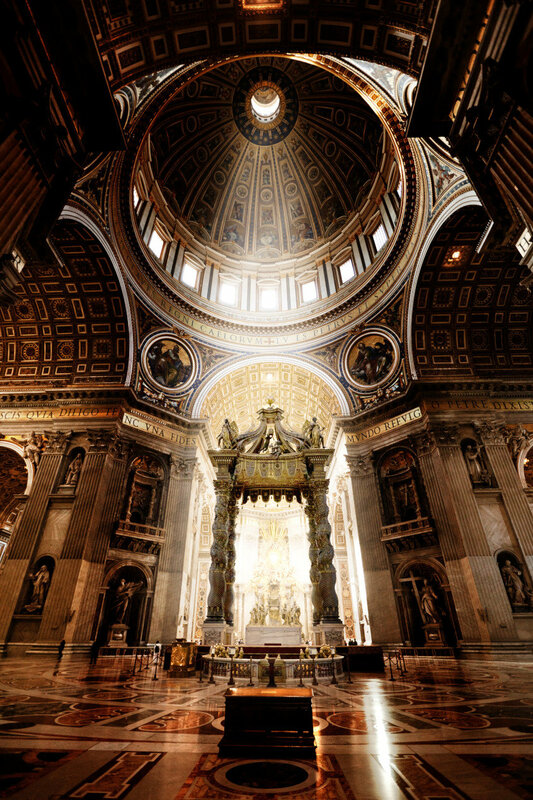 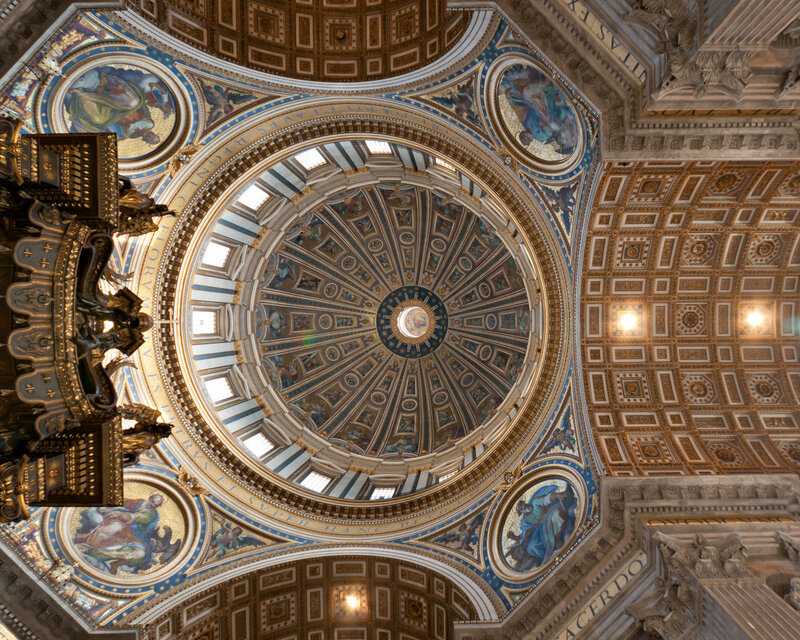 Wonderful view of Dome – Cupola di San Pietro . 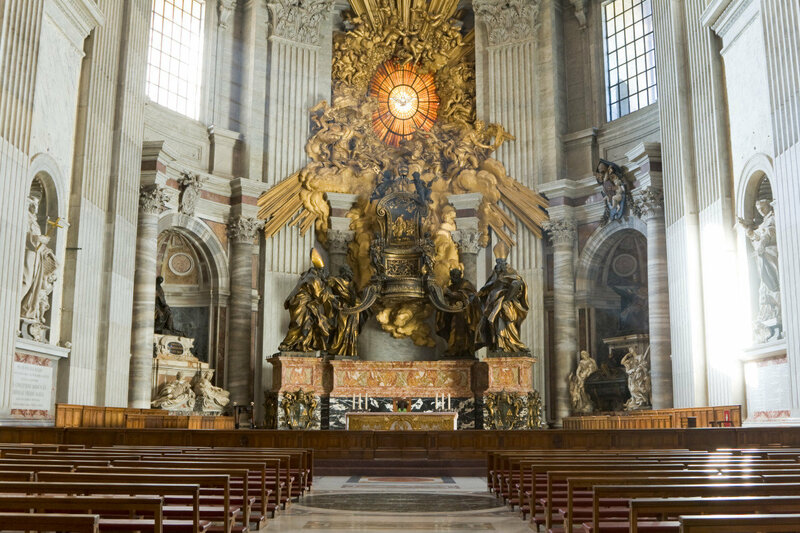 Old St Peter’s, an early Christian basilica with a nave and double aisles on each side, was restored on many occasions and beautifully decorated, but after the exile of the popes in Avignon and the schism of 1378, it was close to collapse. 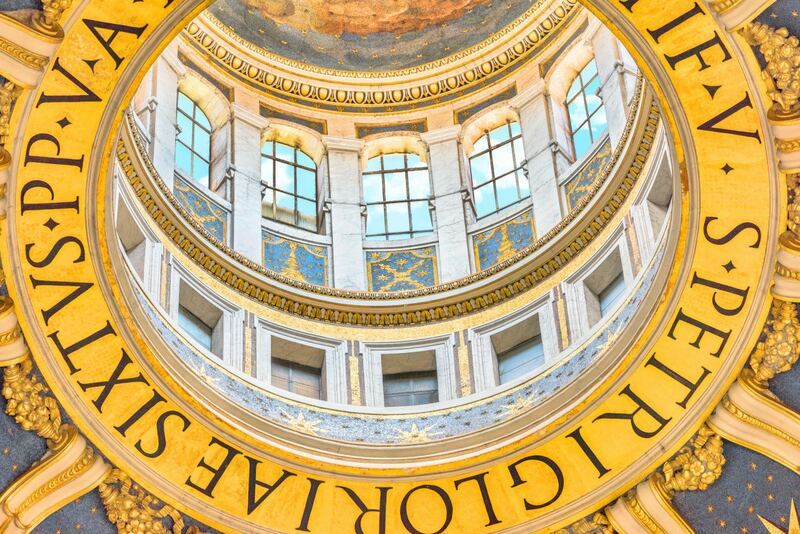 Therefore, in 1452, Nicholas V decided to build a new church for the re-emergent city of Rome with the help of all Christendom including financial contributions from indulgences, to which Martin Luther was opposed. 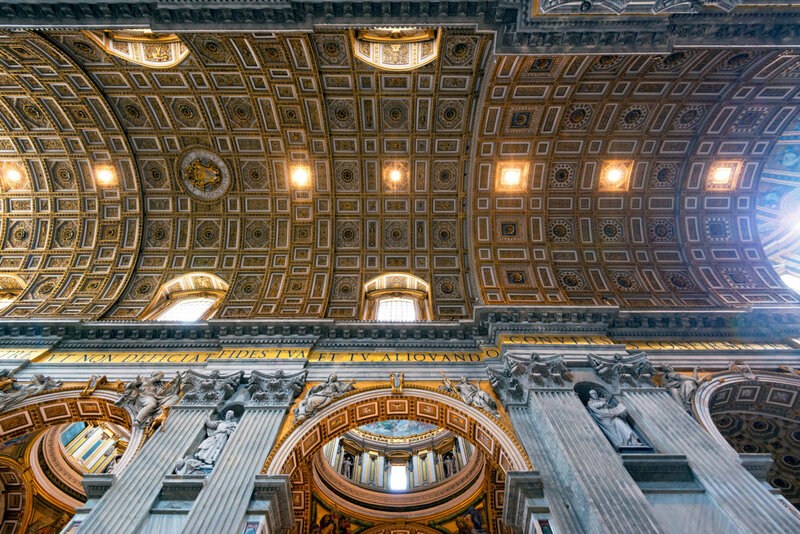 The project, a completely new building which was pushed ahead with feverish intensity from 1506, continued under every pope from Julius II (1503-1513) to Pius VI (1775-1799). 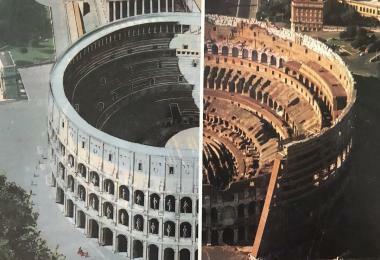 The architects tasked with the project were Bramante, whose first design called for a central plan in the layout of a Greek cross with a nave and two aisles; followed by Giuliano da Sangallo with Fra Giocondo and Raphael; the latter discarded Bramante’s plan in favour of a basilica with side chapels and a crossing. 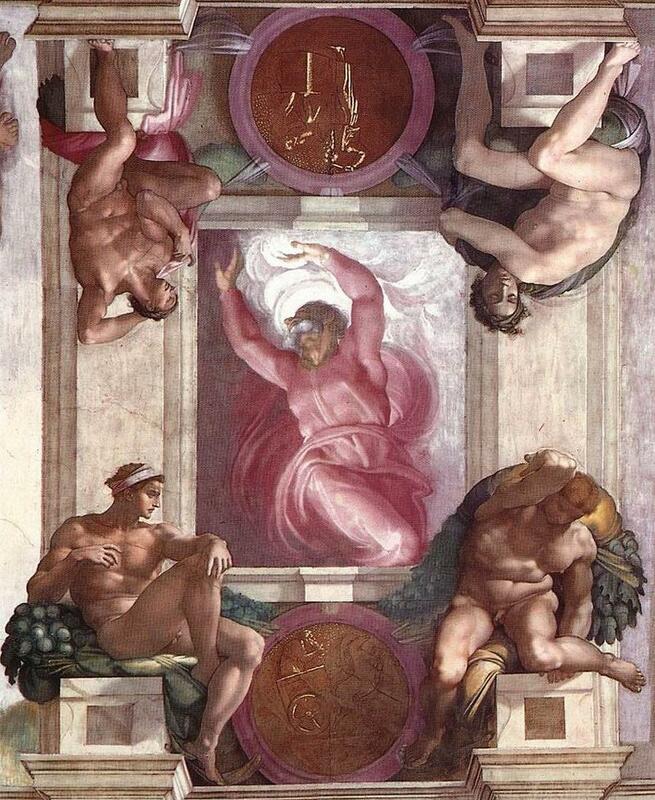 Baldassare Peruzzi favoured Bramante’s plan, while Antonio da Sangallo was inclined towards Raphael’s design. 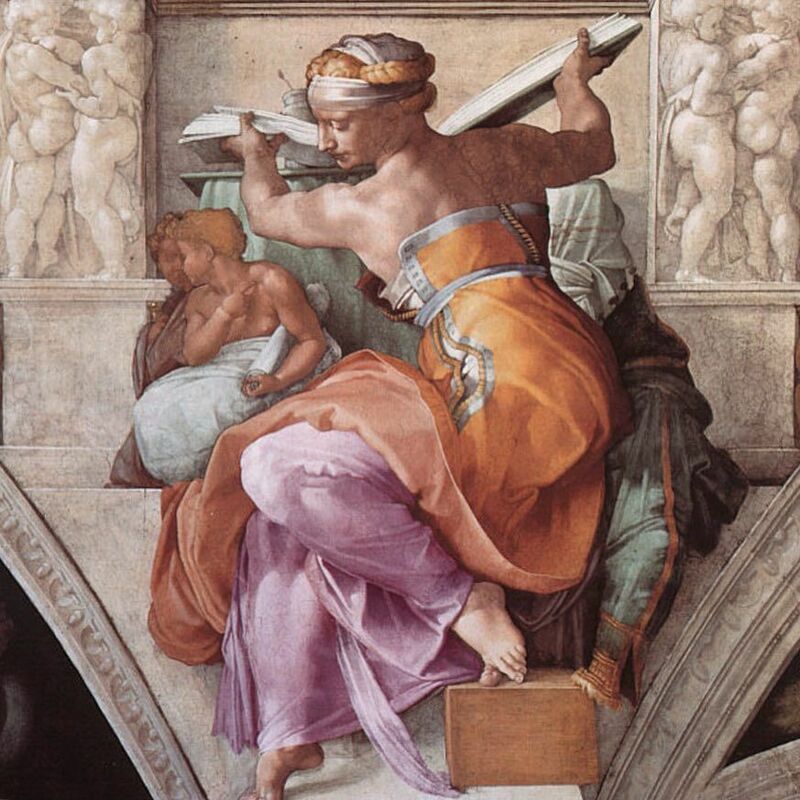 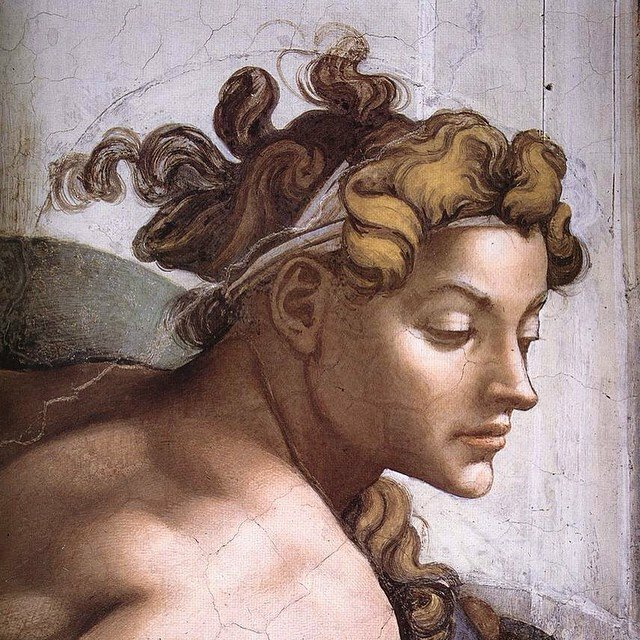 When Michelangelo finally took over the project in 1547 at the age of 72 years, he fundamentally decided in favour of Bramante’s plan, which he simplified. 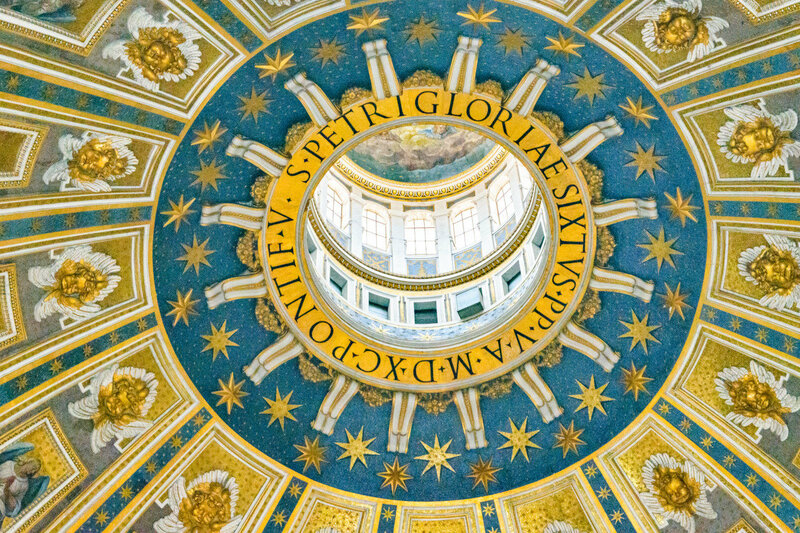 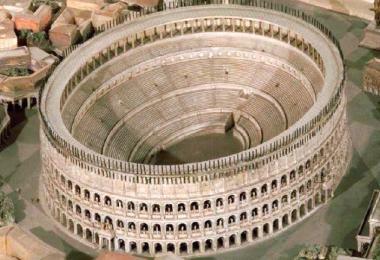 In particular, he designed the dome, the drum of which was completed before his death in 1564. 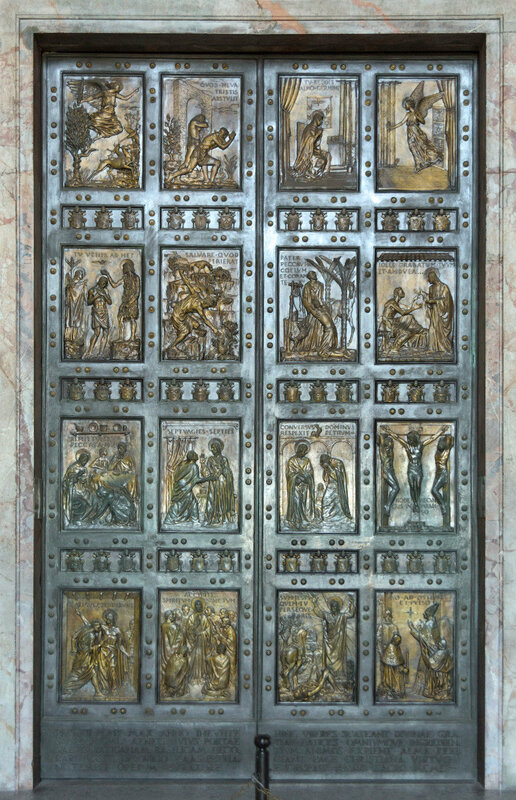 Other architects included Vignola, Ligorio, della Porta, Fontana and Maderno. 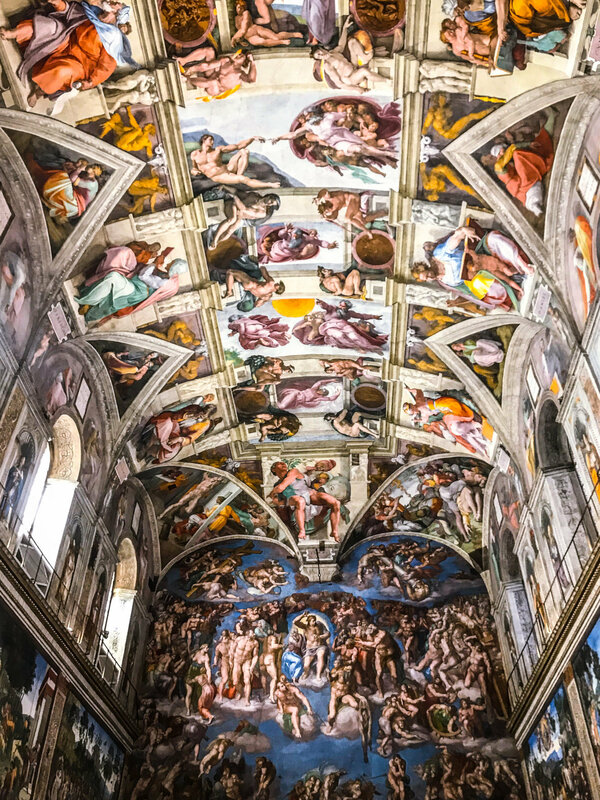 The Sistine Chapel, built for Pope Sixtus IV between 1473 and 1484 in the Vatican Palace, is a simple room with dimensions that correspond to those of the Temple of Solomon. 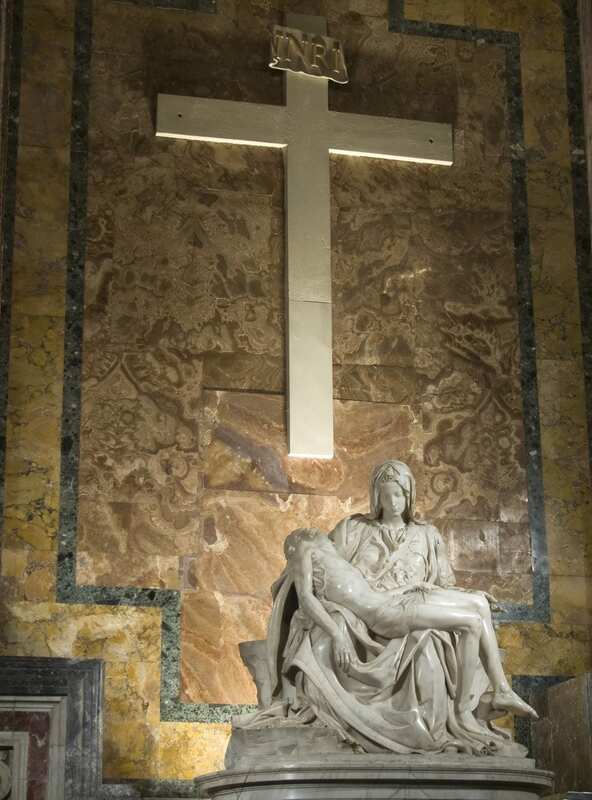 The division of the room into a presbyter and a section for the congregation is marked by the variegated geometric patterns on the multi-coloured marble floor as well as a marble screen with iron lattice created by Mino da Fiesole and Andrea Bregno. 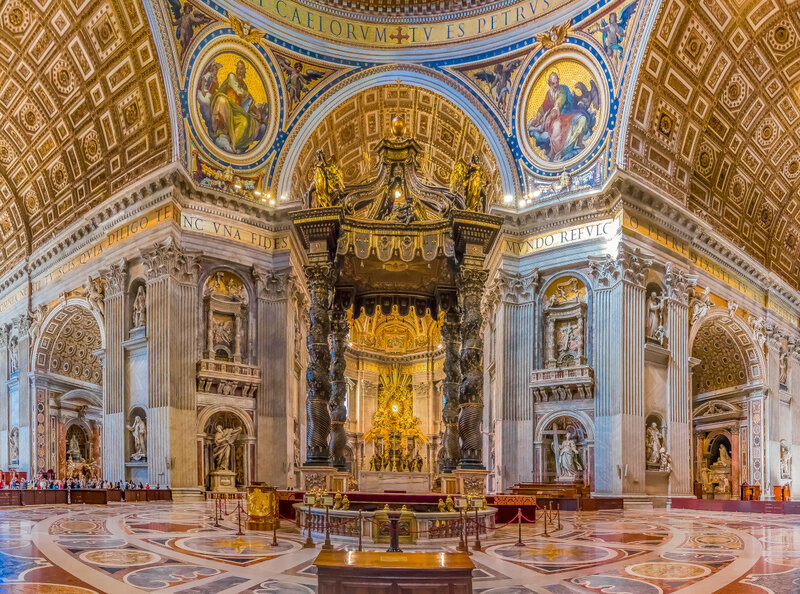 The church is regarded as the papal house chapel and is used by the pope for internal church sendees and on ceremonial occasions. 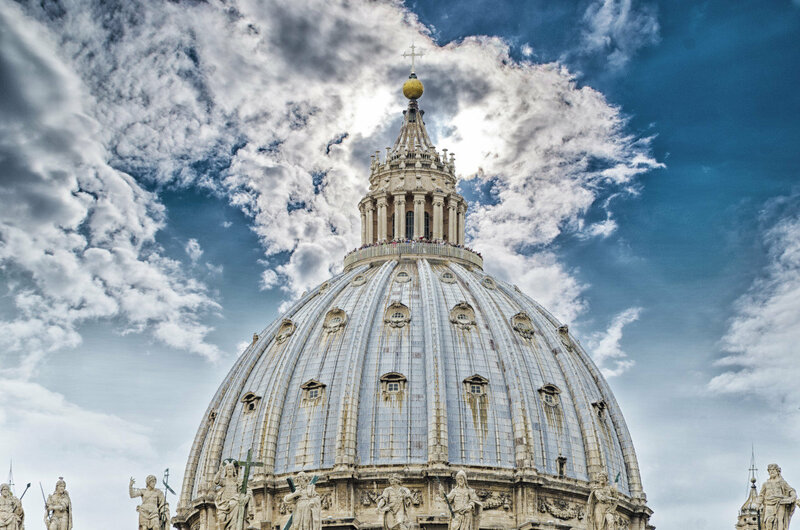 After the death of a pope, the conclave to elect the new head of the Catholic church takes place here. 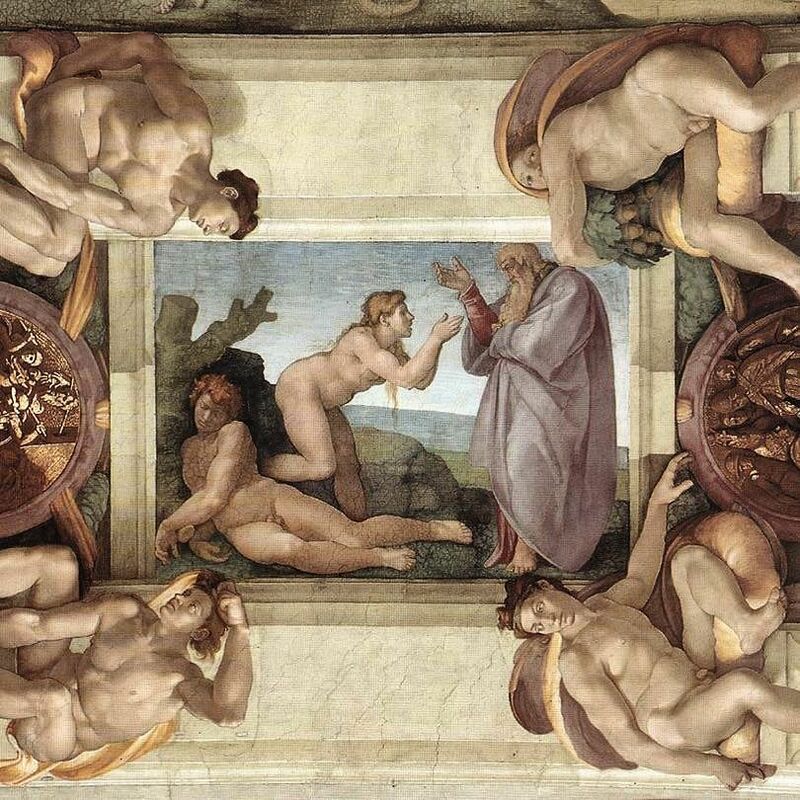 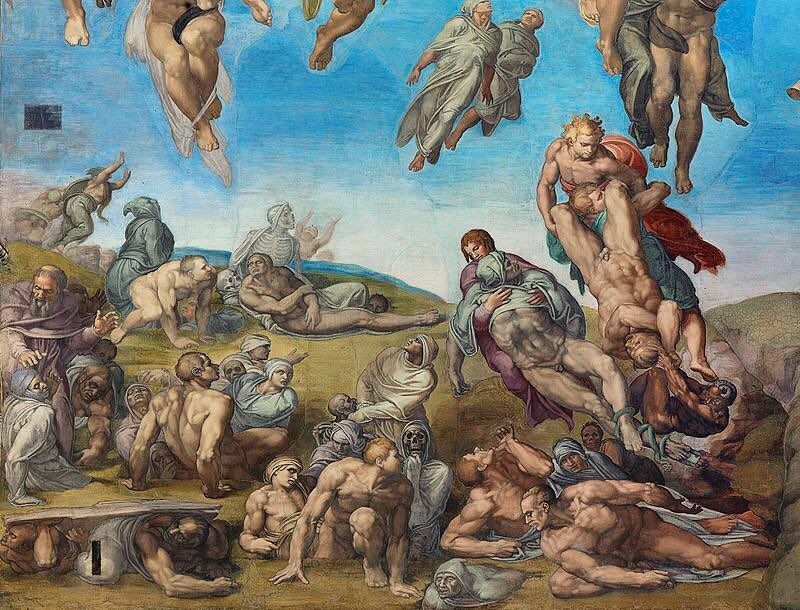 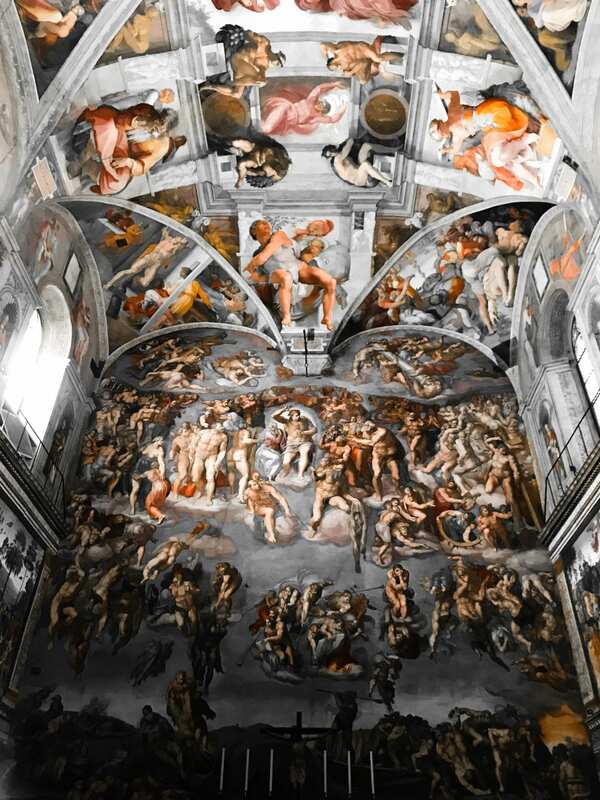 Pope Julius II described the effect of the frescoes as “terribile”, when on All Saints’ Day of the year 1512, he was finally able to view what the Tuscan sculptor, painter and architect Michelangelo Buonarroti (1475-1564) had created in four years. 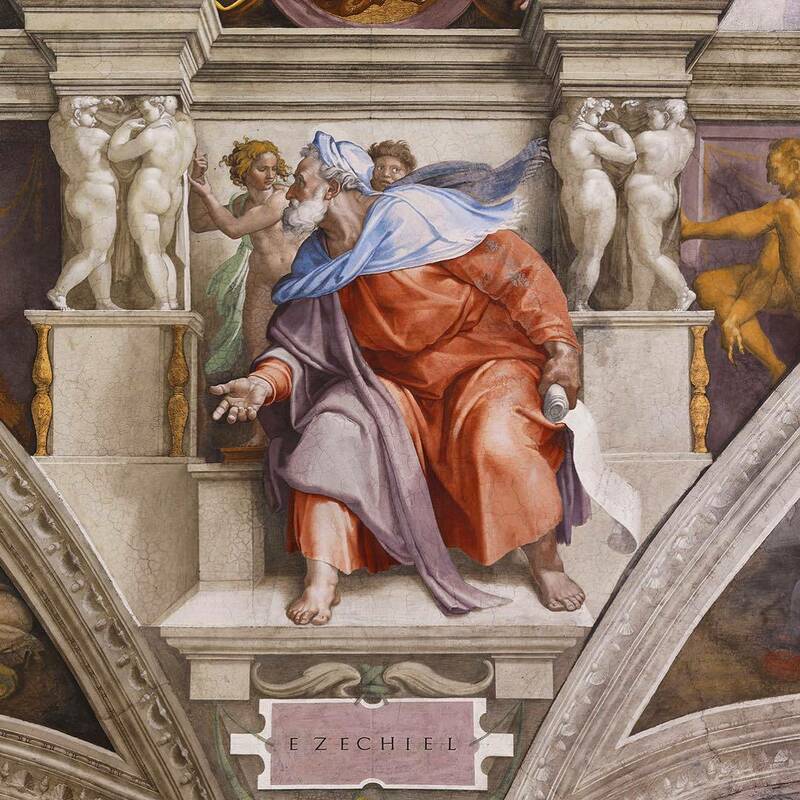 The pope and the artist did not always see eye to eye during this project. 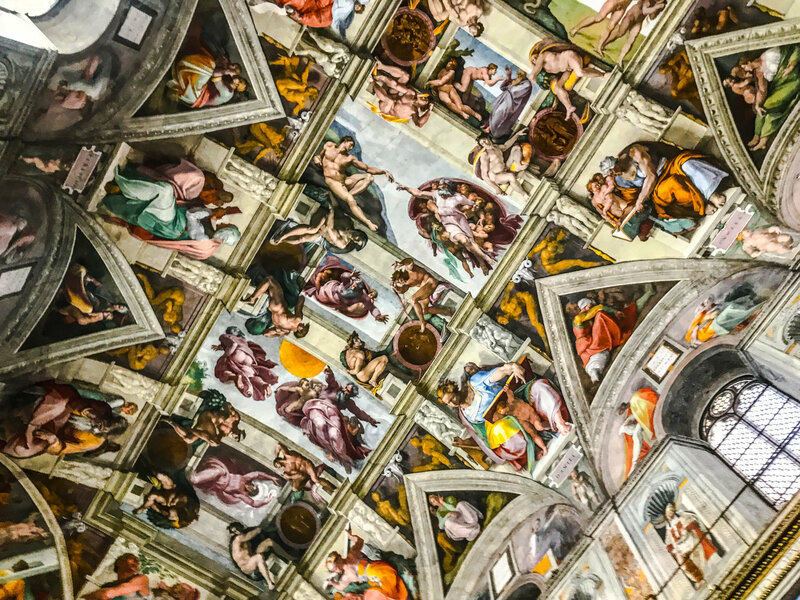 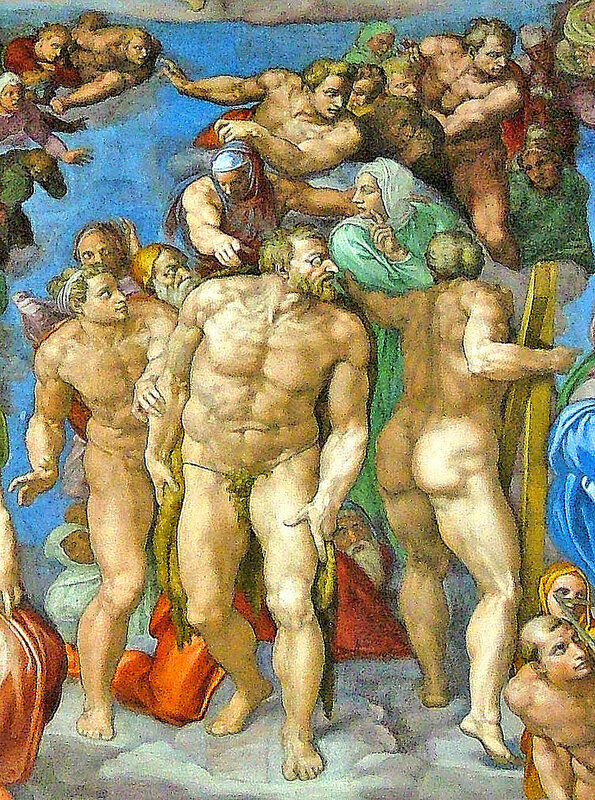 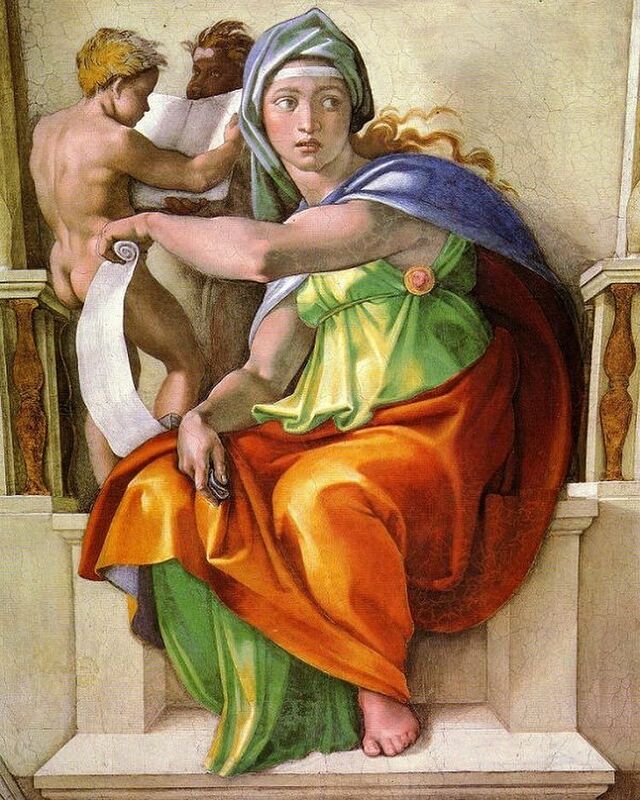 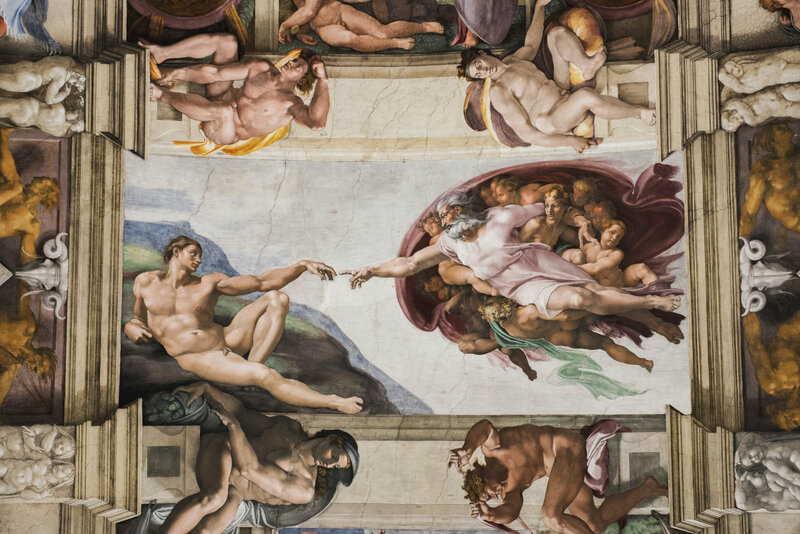 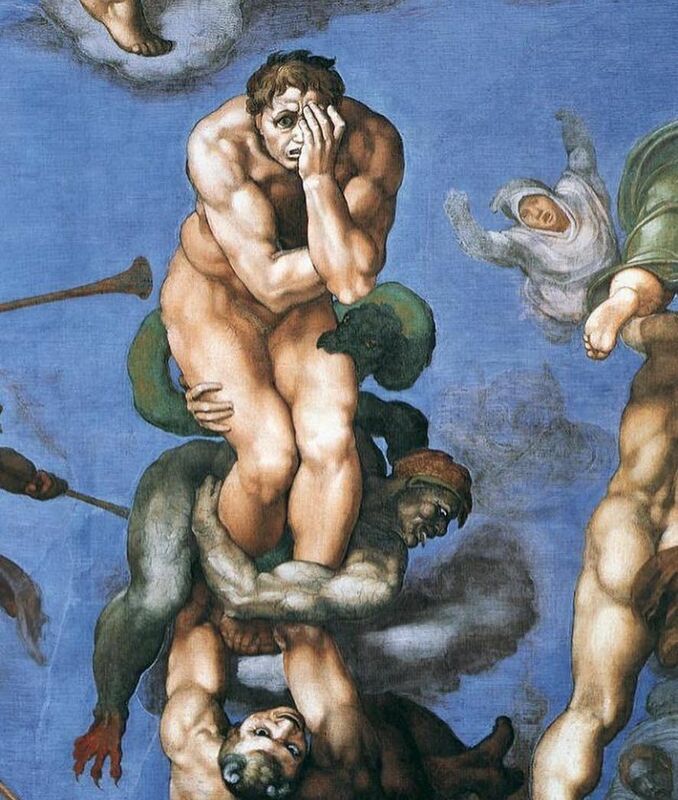 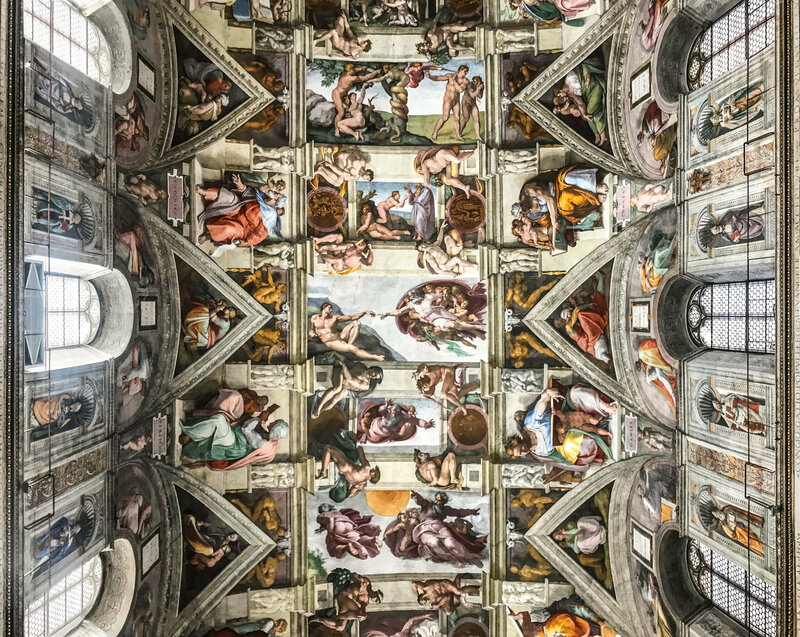 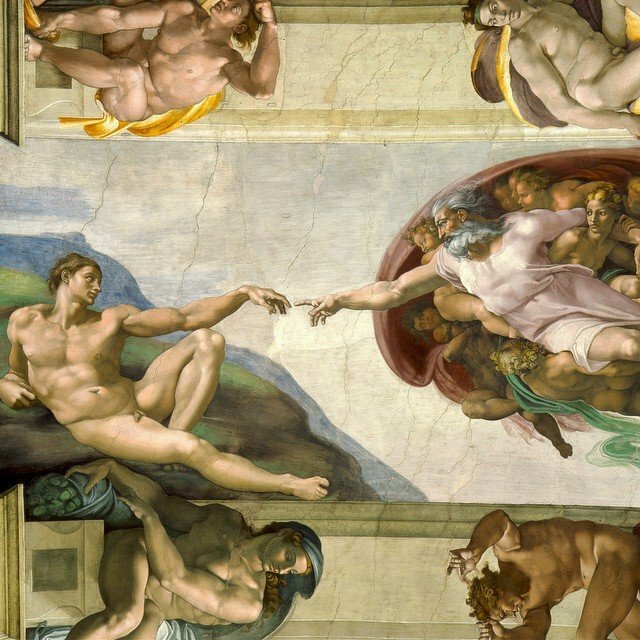 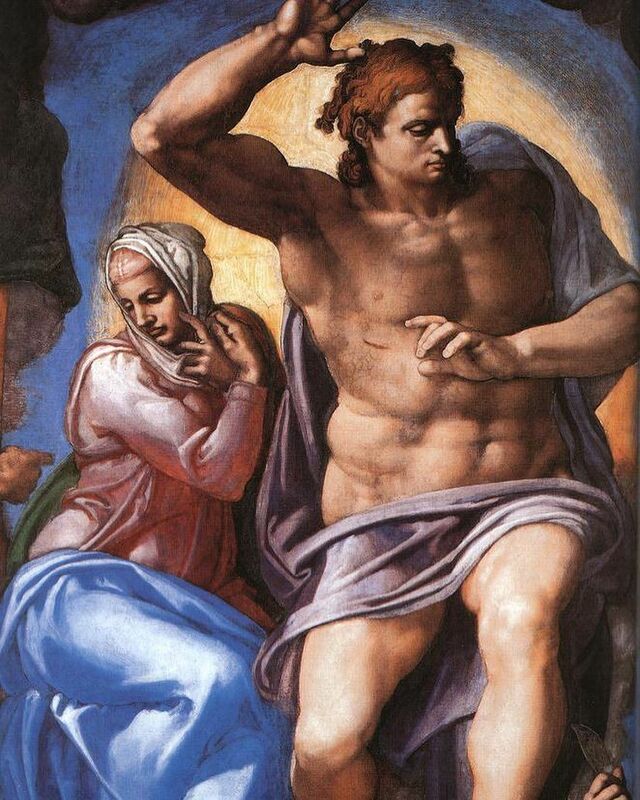 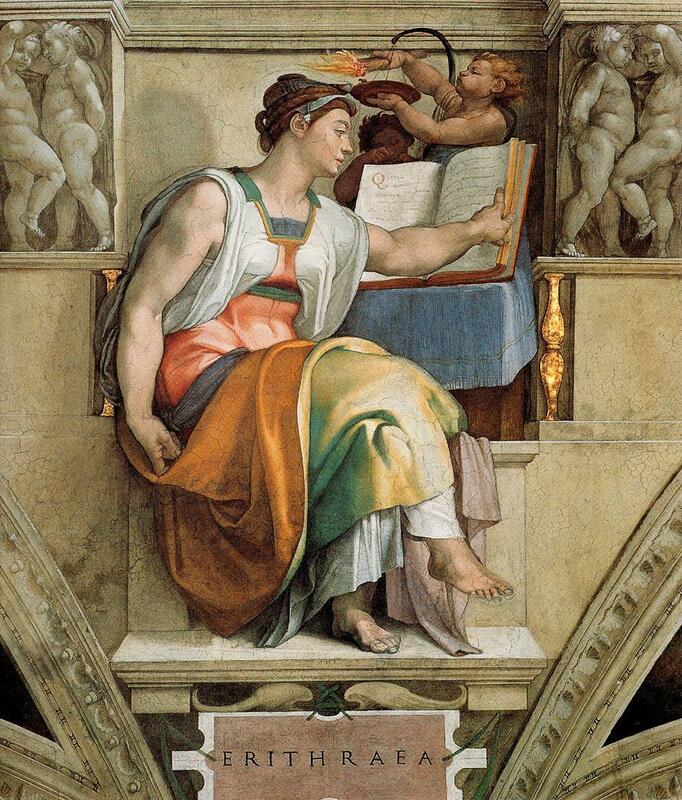 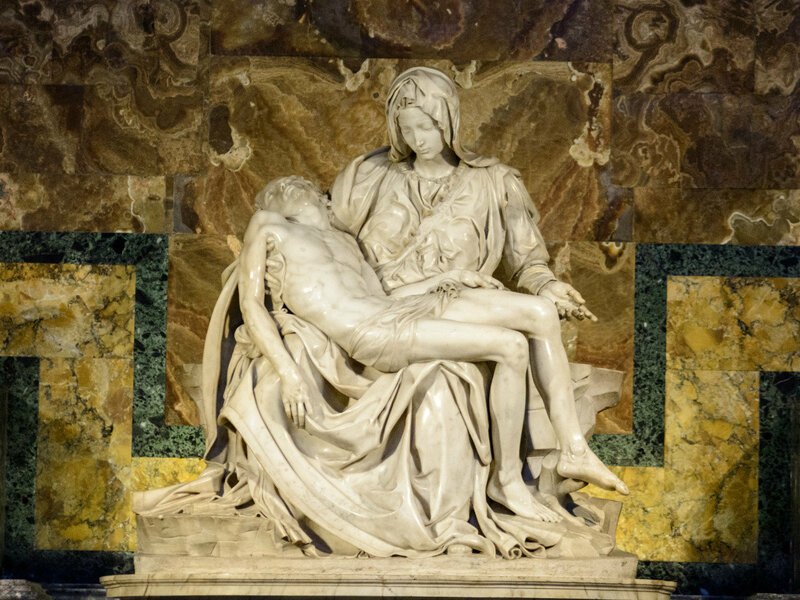 Michelangelo was allowed to paint as he saw fit, but the clerical artistic advisors of the pontiff monitored the subject matter and its iconographic implementation. 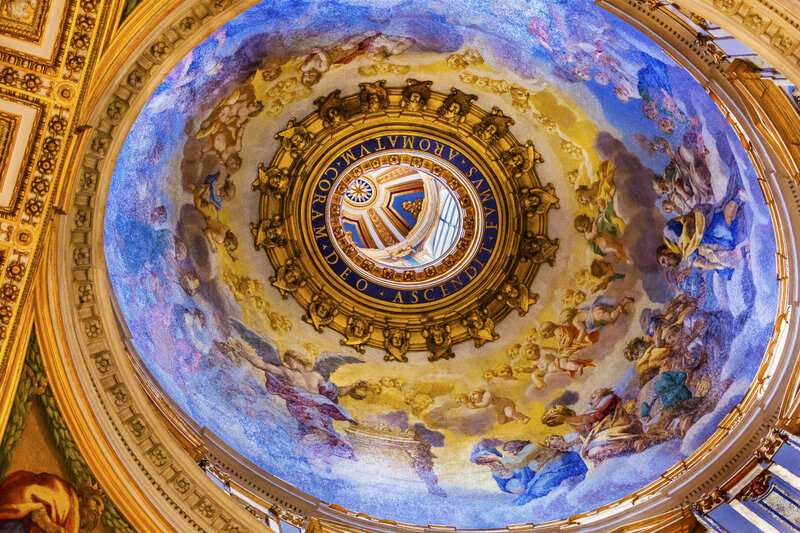 The artist designed a grand trompe l’oeuil architecture for the ceiling, with painted pillars and corner alcoves as extensions of the real architecture of the chapel. 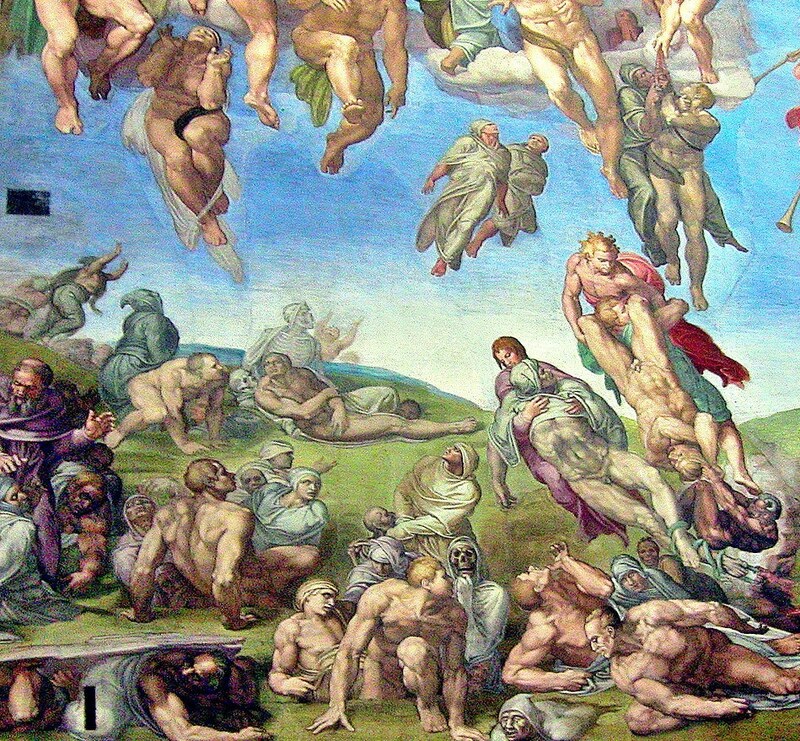 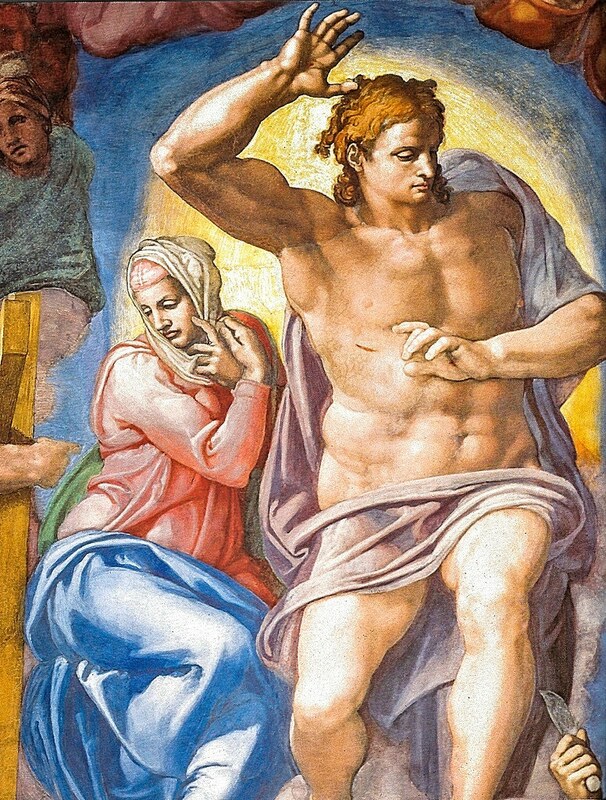 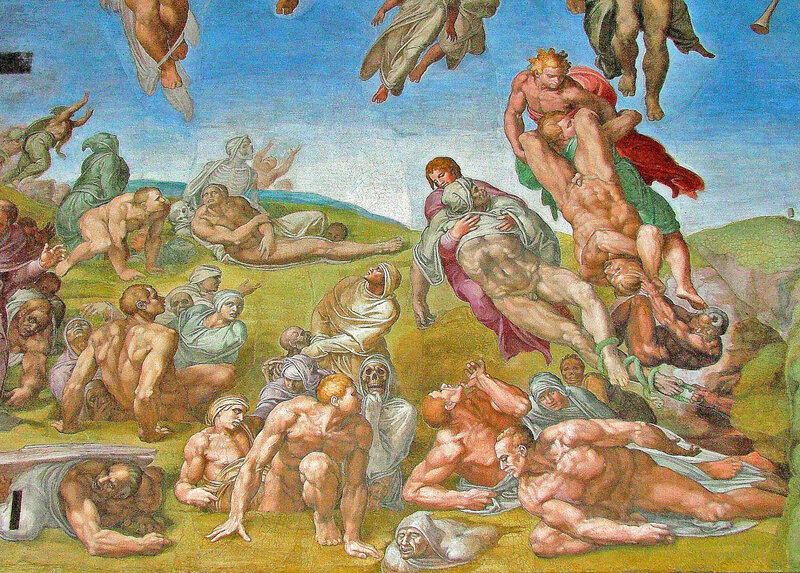 In this framework Michelangelo combined a whirling interplay of colours and figures, dynamically illustrating the genesis of mankind from the creation to the fall, the prophets and sibyls as heralds of divine majesty, and a variety of episodes from the Old Testament, including events from the lives of Noah and of Moses and of David. 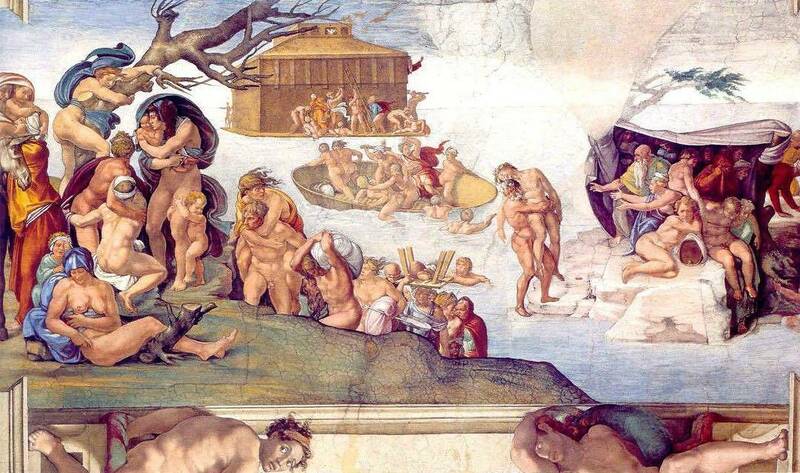 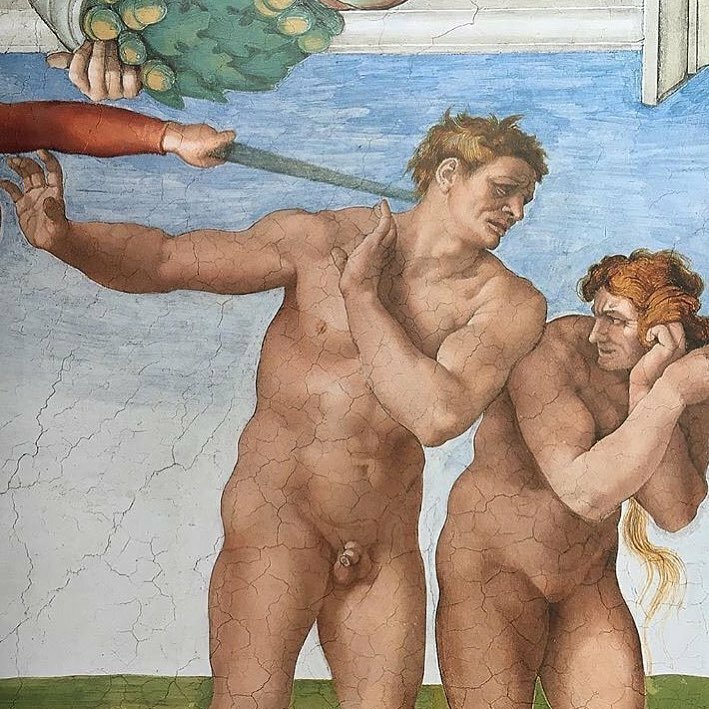 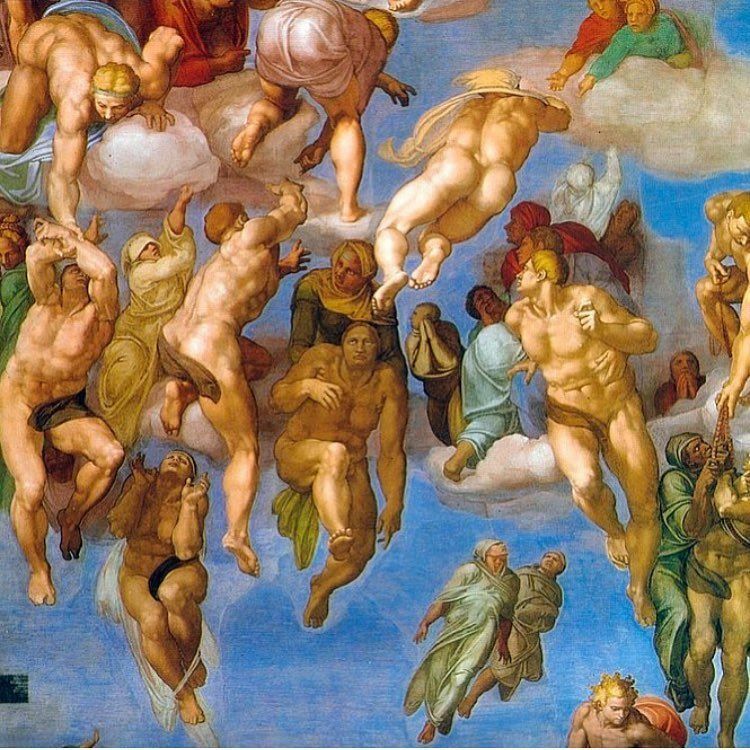 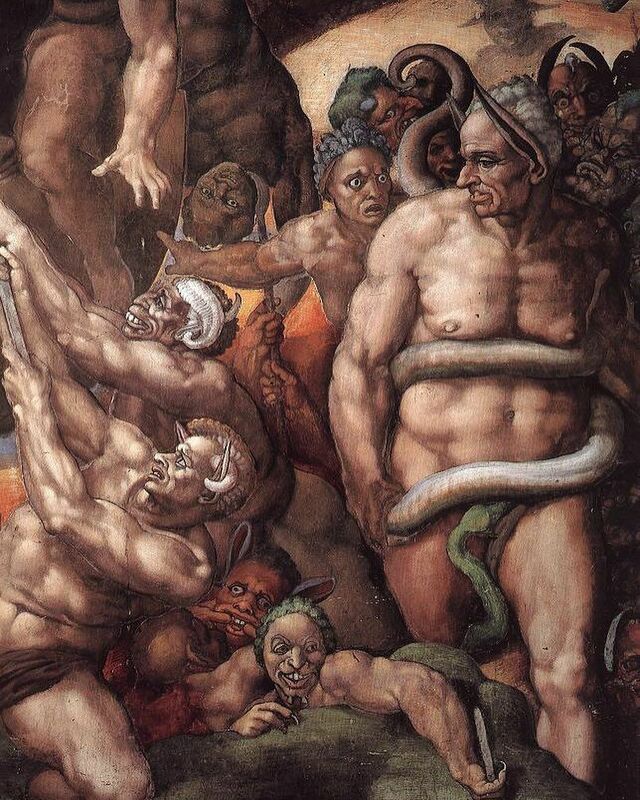 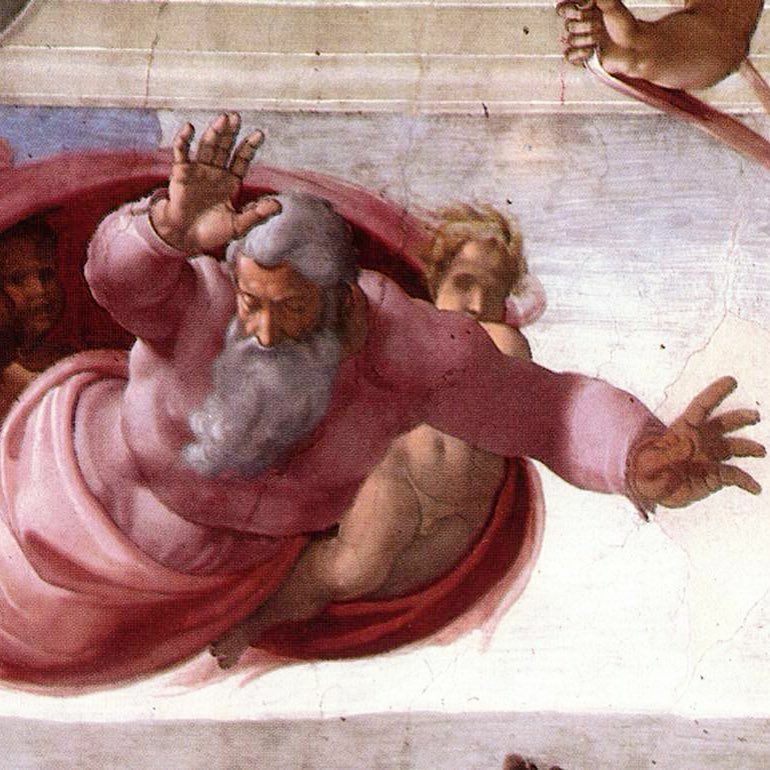 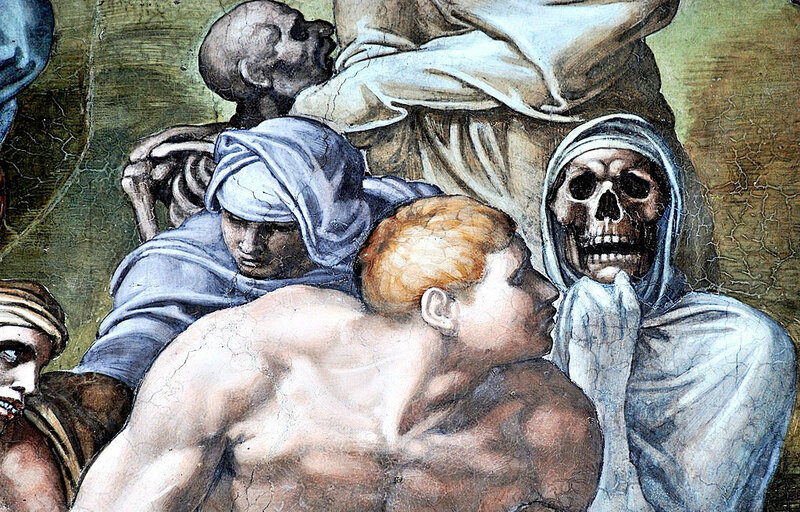 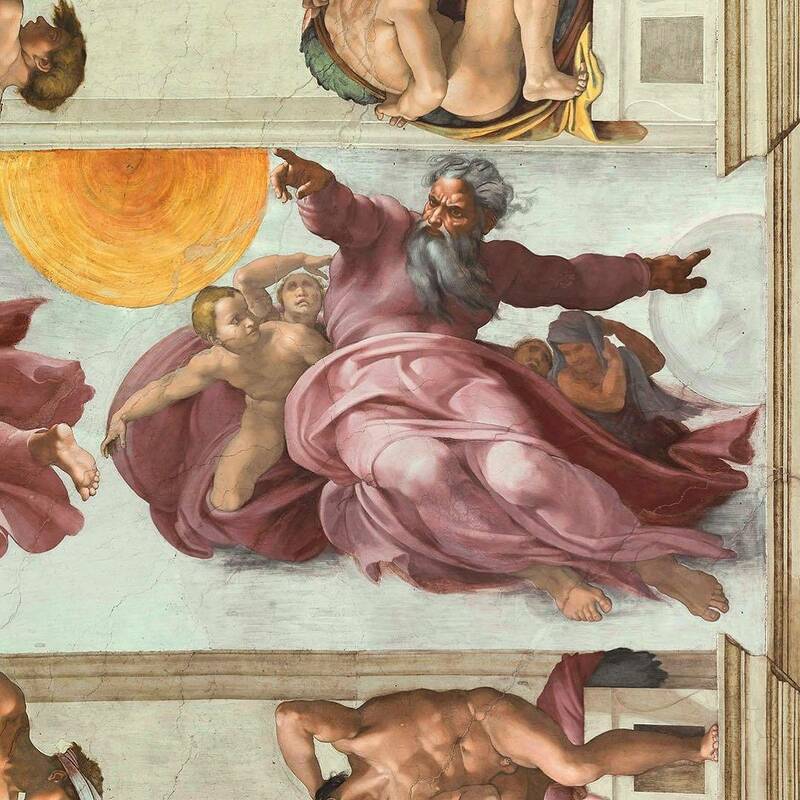 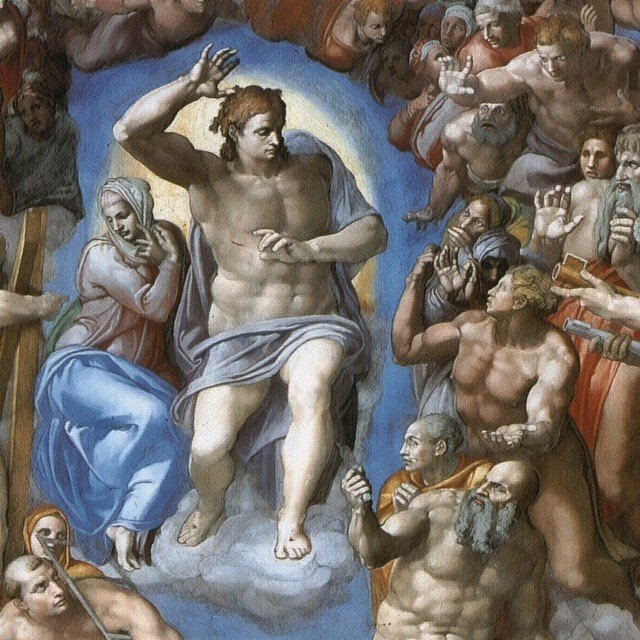 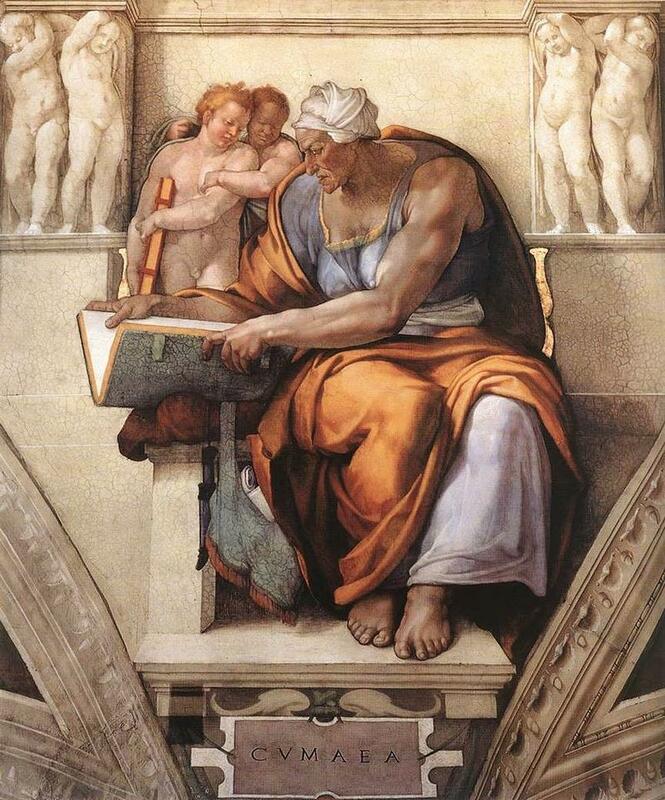 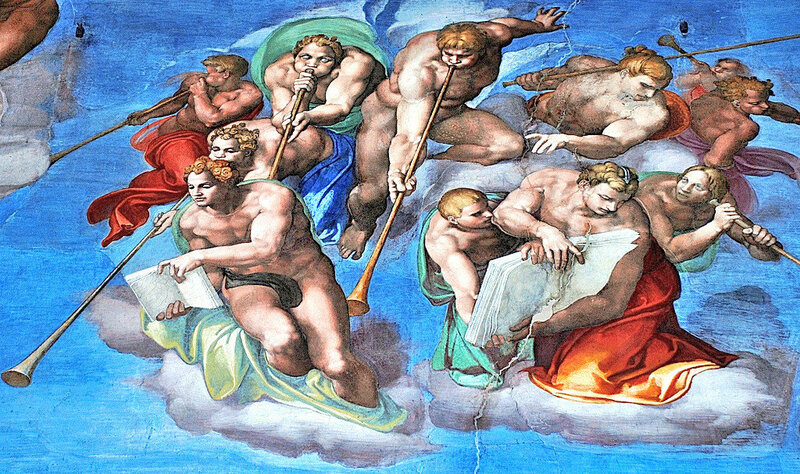 Detail of the Universal Judgement inside the Sistine Chapel in Vatican City. 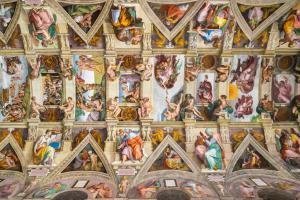 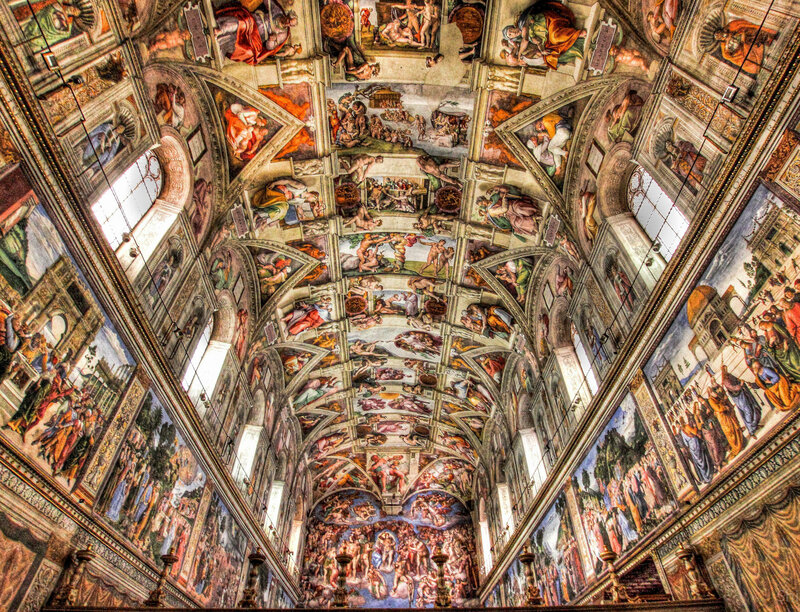 The Sistine Chapel was fully restored between 1980 and 1994, and was rededicated by the pope at the end of 1999. 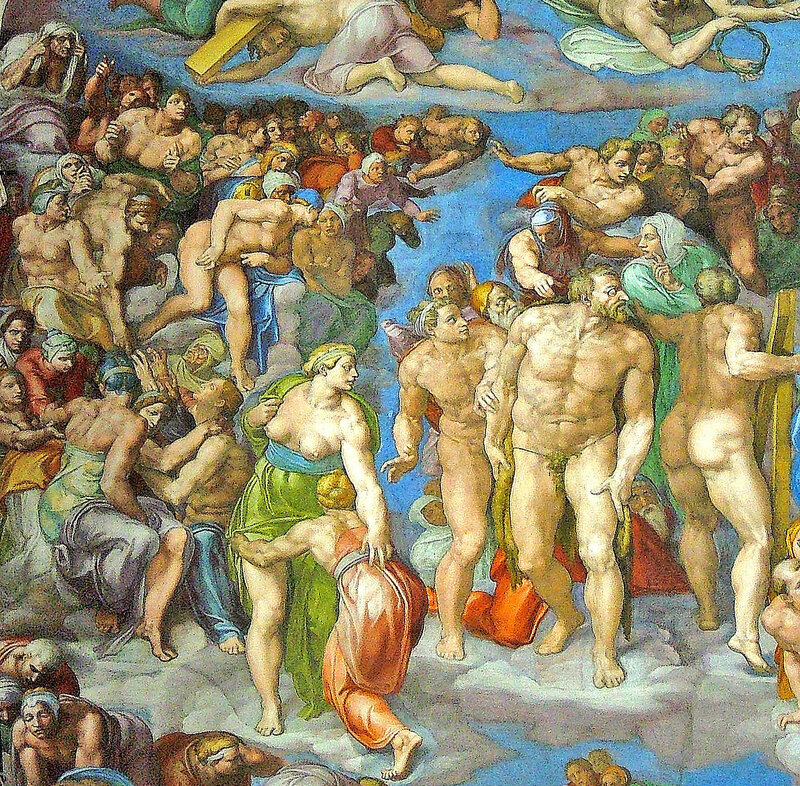 The frescoes were freed of layers of candle soot, dust, varnish, oil and grease as well as over-painting and damage in an elaborate chemical process with simultaneous computer documentation, so that the cosmos of colour once again shines as it did in Michelangelo’s time, as if he had just climbed down from the scaffolding. 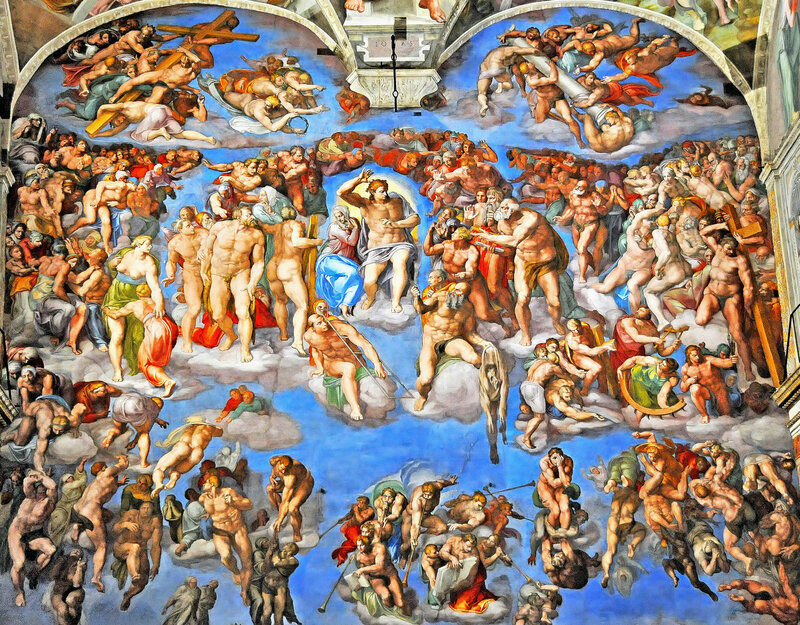 Travel Tip: On a busy day in Vatican, more than 25.000 (circa) people pass through the doors of the Vatican Museums. 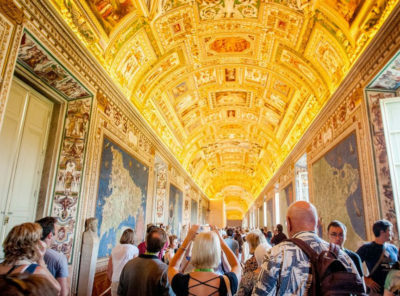 So, if you’d like to visit the Vatican and avoid the queues, skip the long entrance queues and have fast, hassle-free entry. 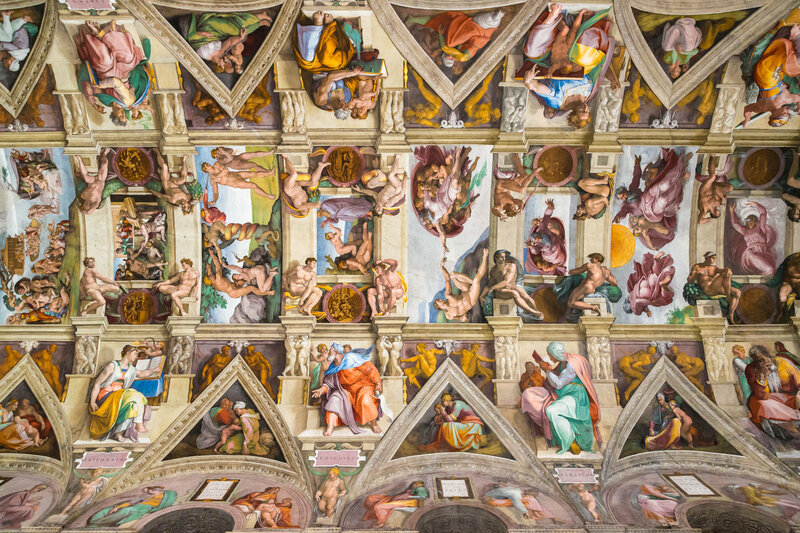 The Sistine Chapel closes two hours before the museums. 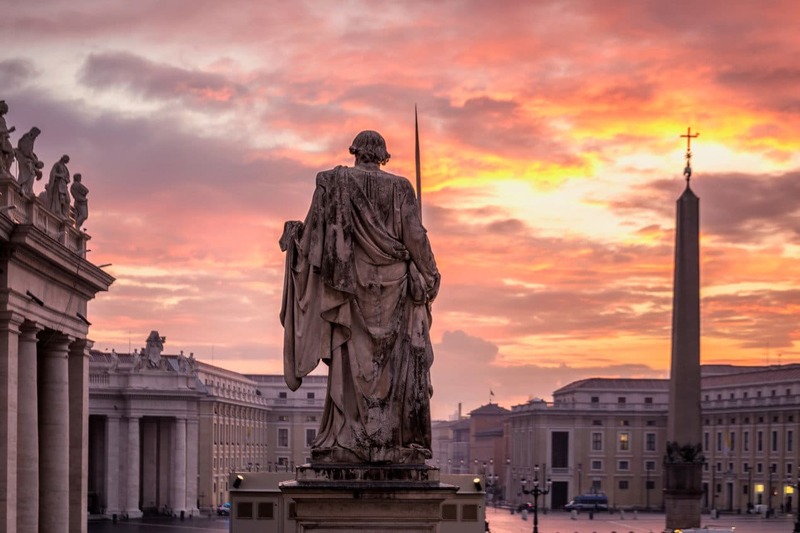 Between 1656 and 1667, in front of the already-completed St. Peter’s Basilica in Vatican City, Bernini created St. Peter Square (Italian: Piazza San Pietro). 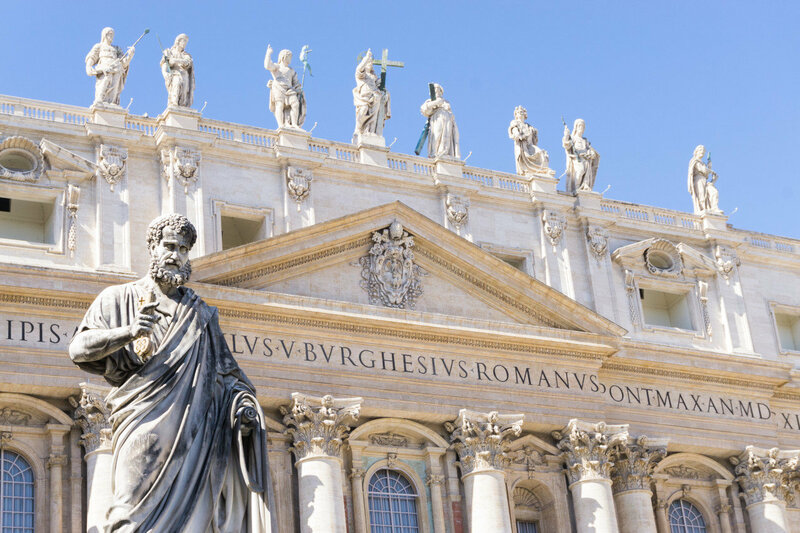 This stage on which believers from all over the world assemble is possibly the most famous square in the world and has lost none of its fascination to this day. 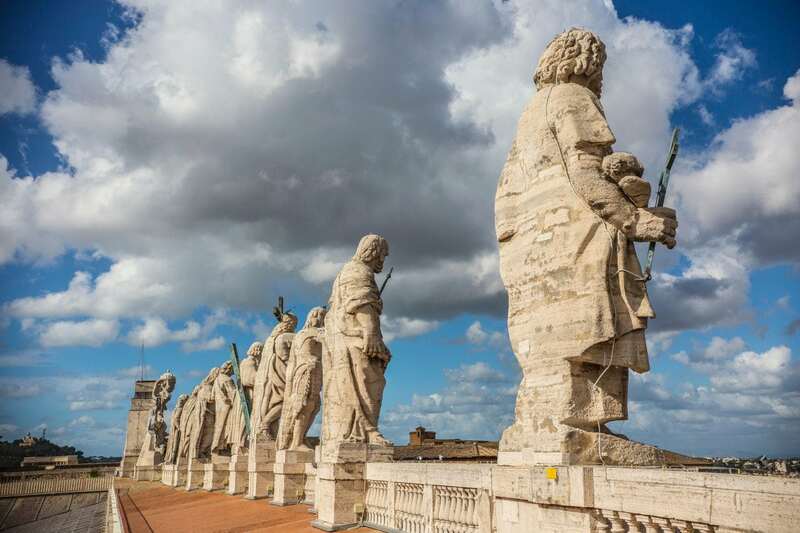 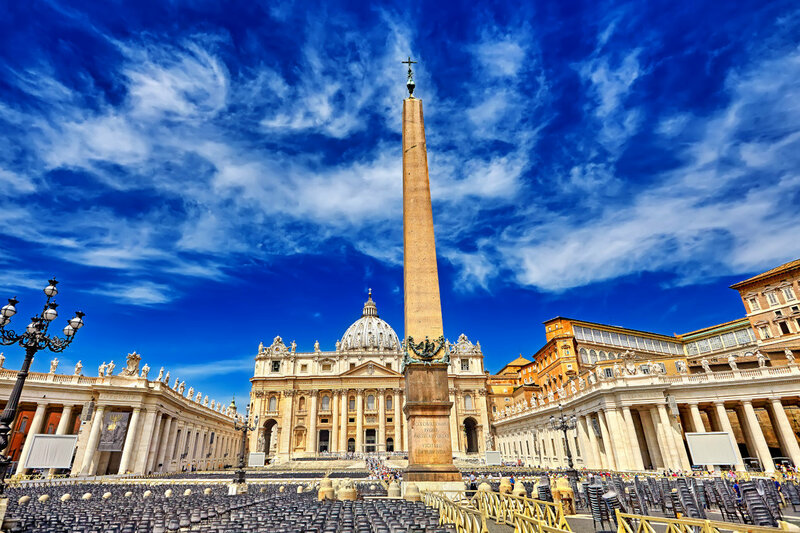 The piazza consists of two parts, an ellipse 340m/1,115ft long and 240m/787ft wide, and the trapezoidal Piazza Retta, which rises in steps and simultaneously widens towards the church, flanked by statues of the apostles Peter and Paul. 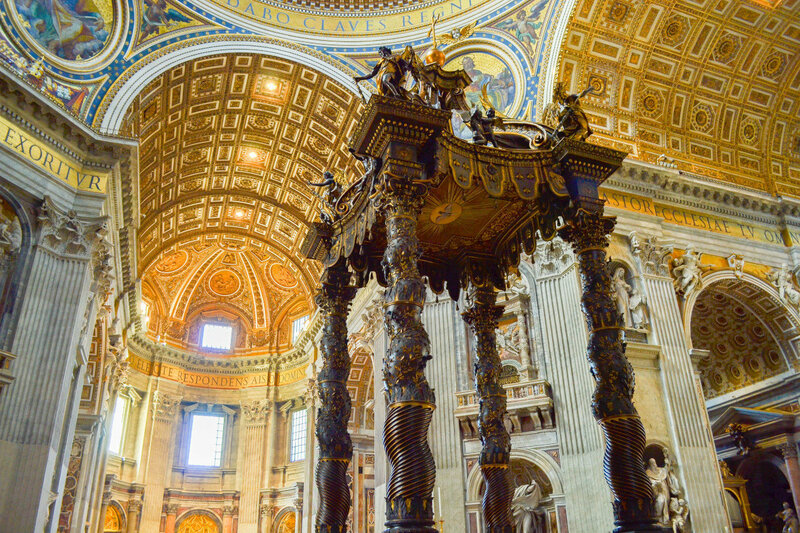 Bernini surrounded the oval with quadruple semi-circular colonnades consisting of a total of 284 columns and 88 pillars made of travertine, with the figures of 140 saints on the balustrade. 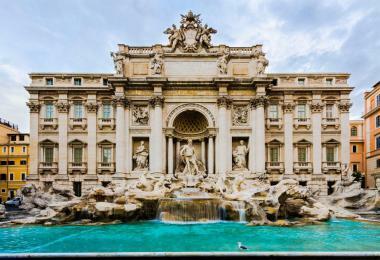 On the left and right, the water jets of two I4m/46ft-high fountains pour into huge granite basins. 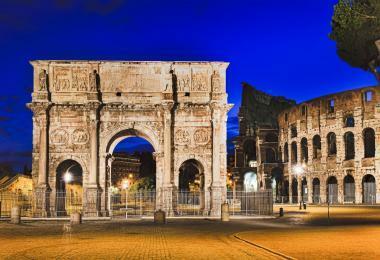 Two discs in the pavement on the left and right mark the focal points of the ellipse, the Centri del Colonnato. 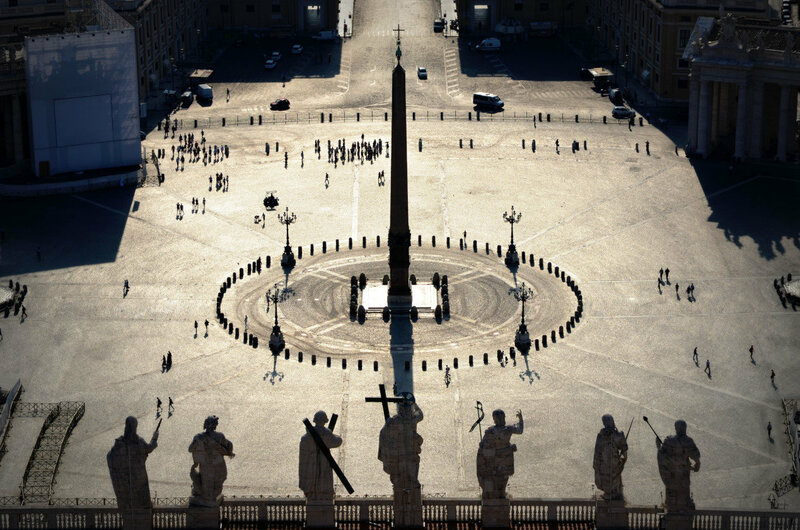 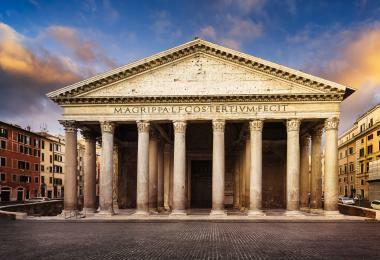 From these points, the four columns that stand one behind the other in each colonnade are aligned to appear as one.